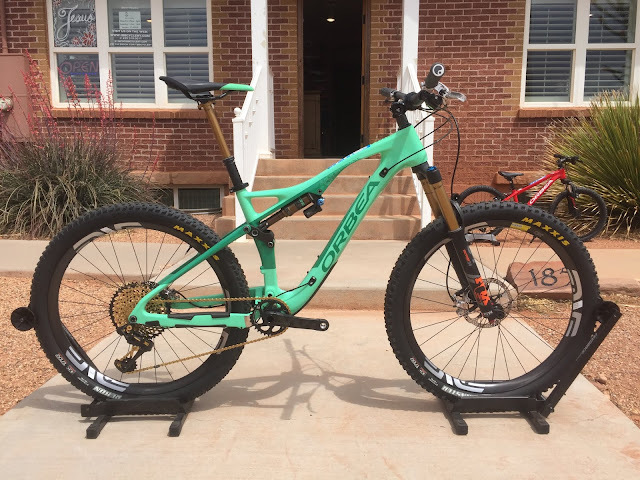 A selection of some of our favorite and most memorable custom spec'd builds over the years. 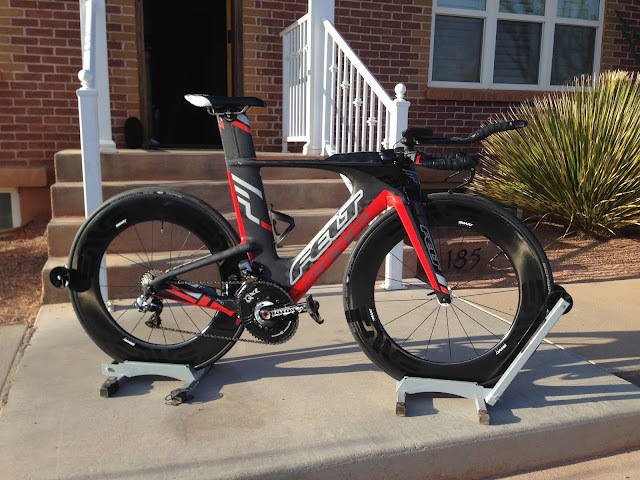 Many, a result of our FIT --> SPEC --> BUILD (F-S-B) Process. In any case, each bike was built up from the frame, carefully selecting the size/style/quality of each component to suit the rider and their respective budget. 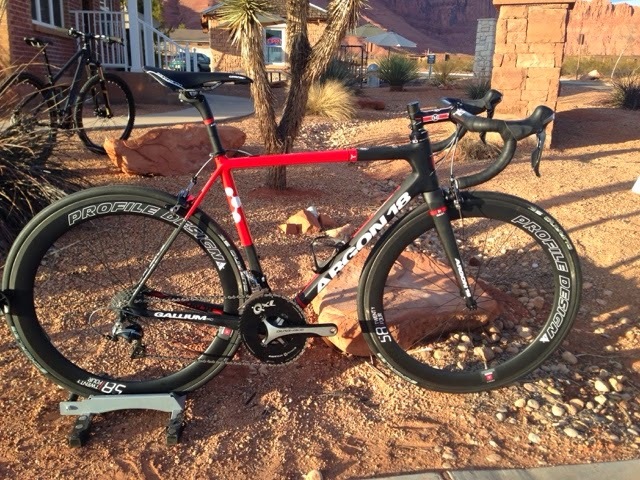 F-S-B: Justin's Boardman AiR/TT/9.8 with Ultegra Di2, ISM PR2.0, Profile Design Cockpit. GO SLTC! 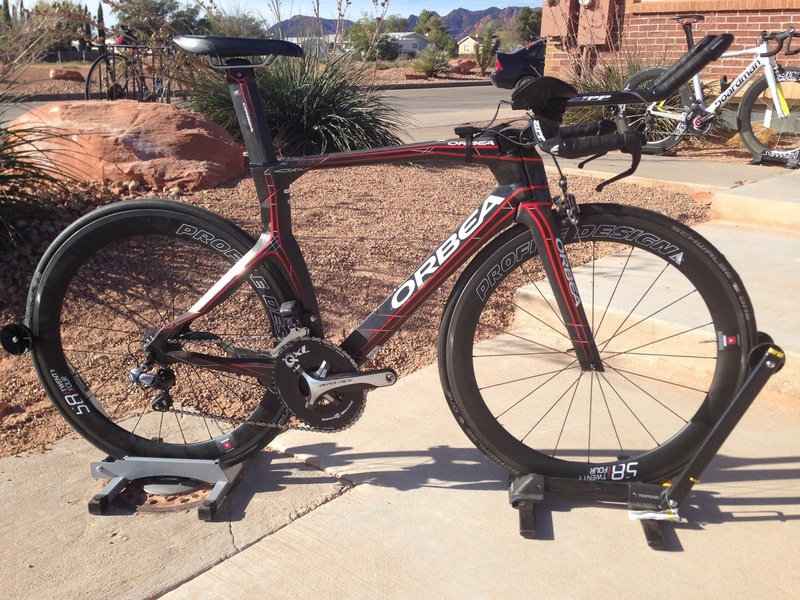 F-S-B: Steve's Orbea Urdu with Shimano Di2, Profile Design 58s, ISM Attack, Zipp Cockpit, Rotor QXL, Stages Power. 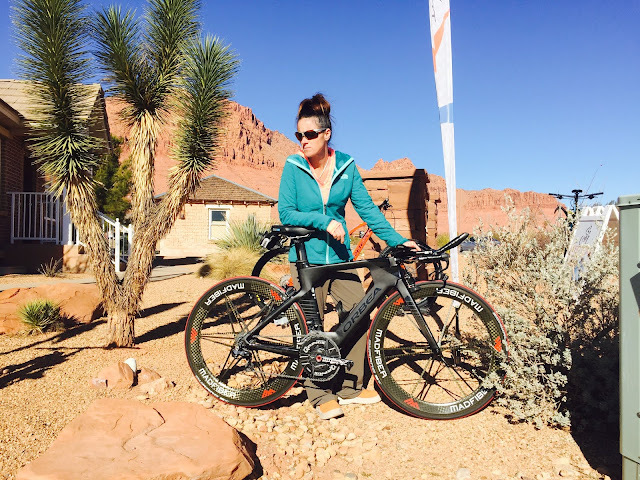 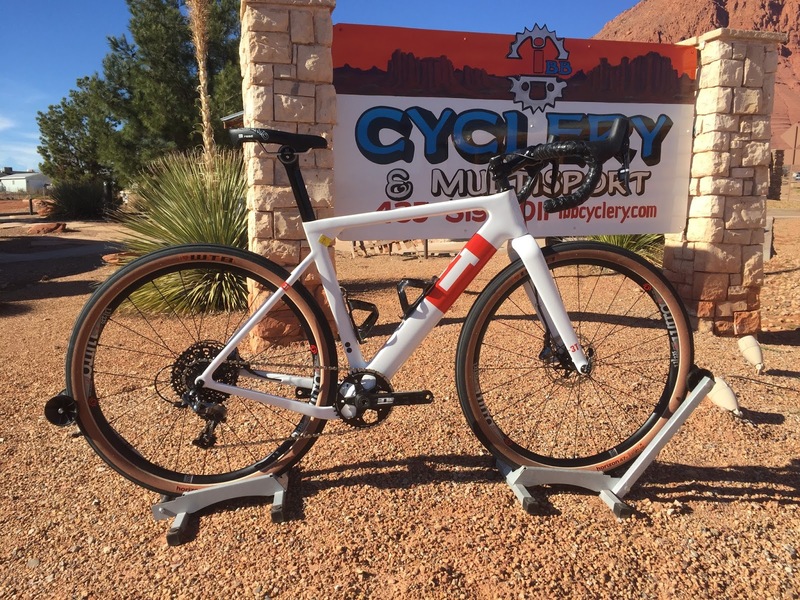 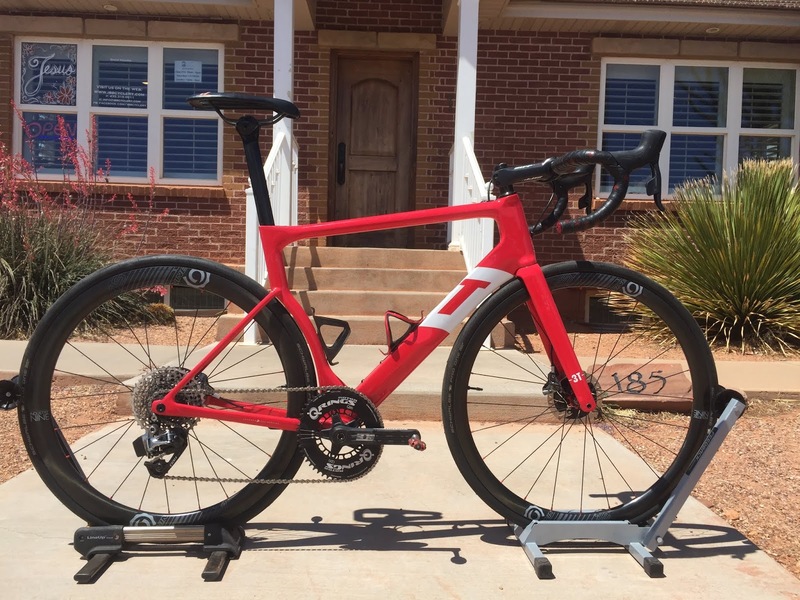 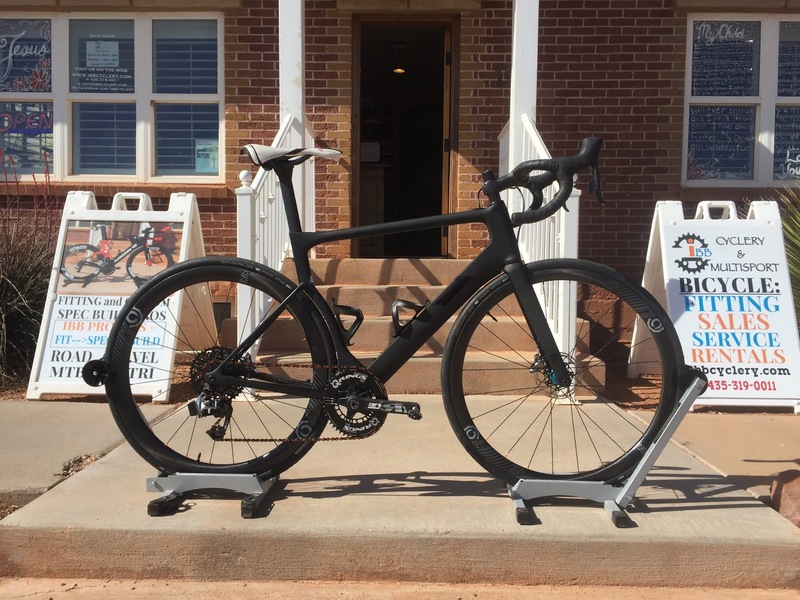 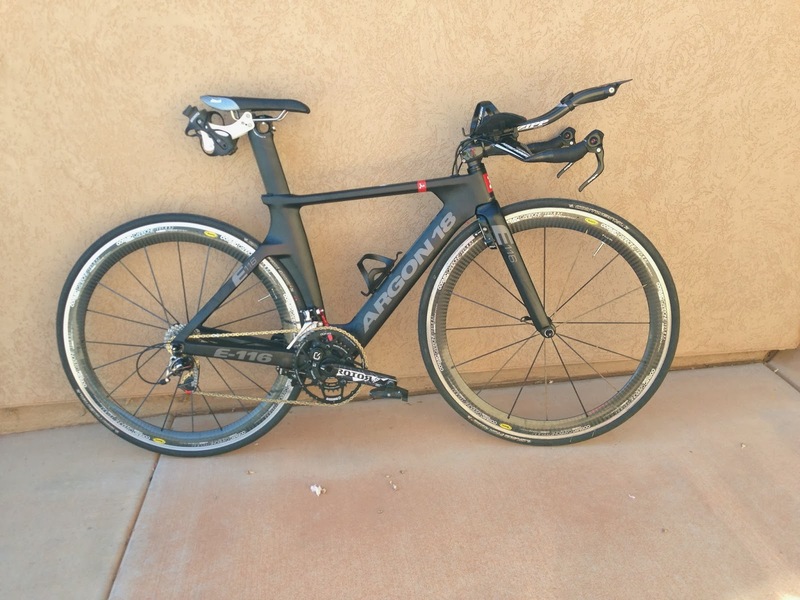 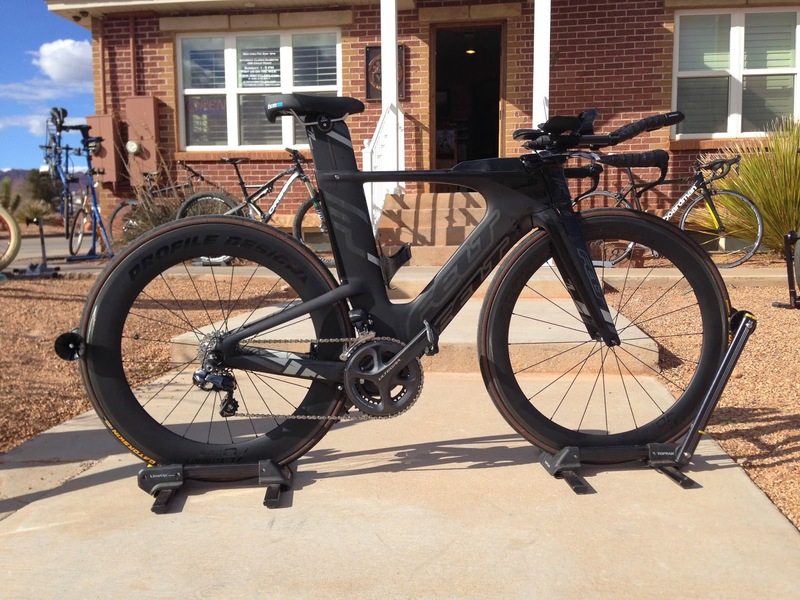 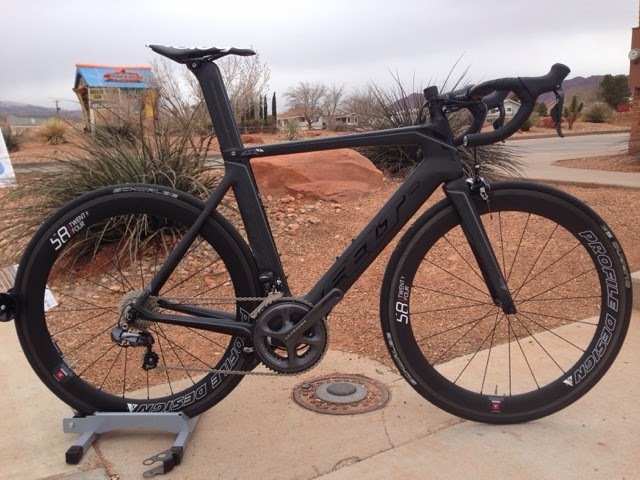 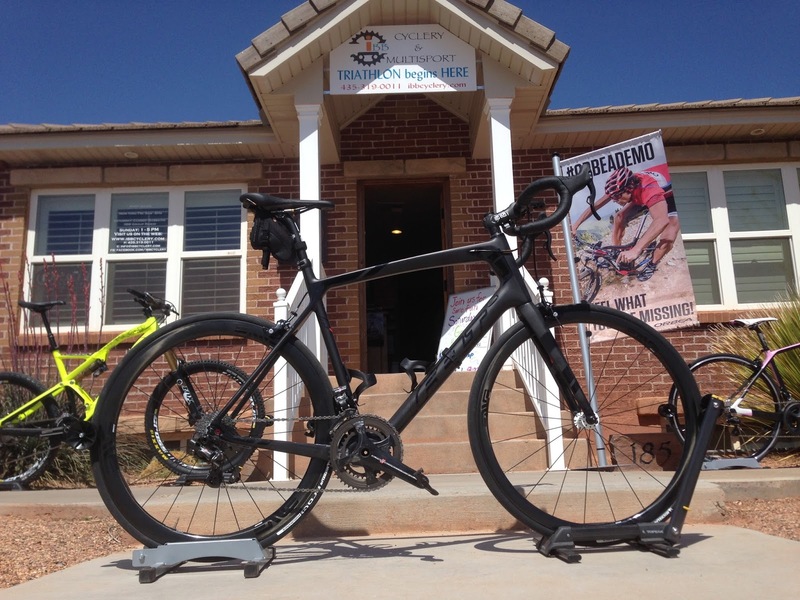 F-S-B: Justin's 2015 Felt IA1, w/ Ultegra Di2, Profile Design 58/78 Clinchers, ISM PR1.0 Saddle. 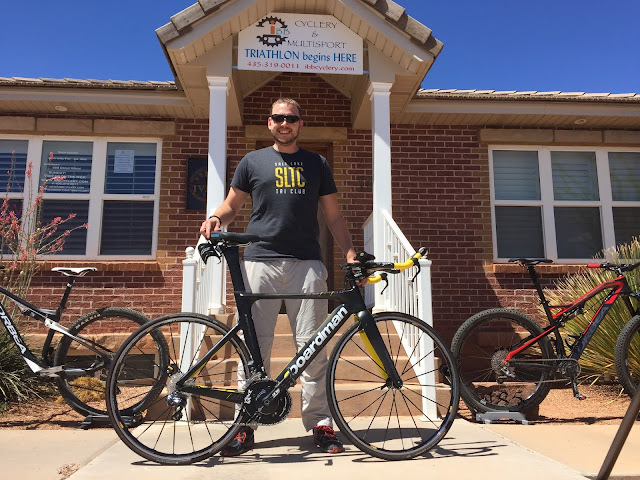 GO SUTC! 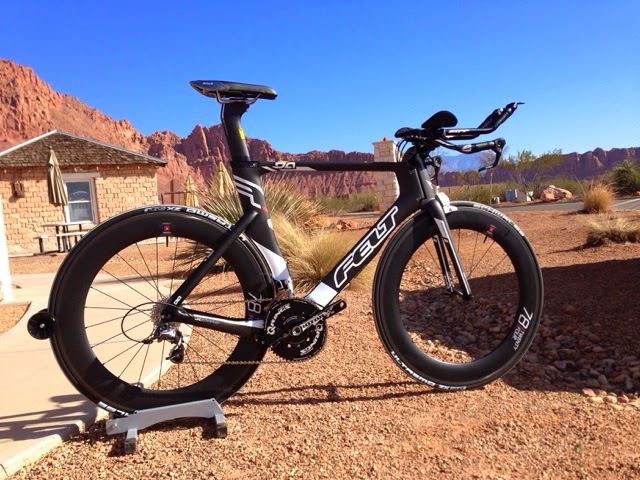 F-S-B: Justin's Felt IA1. 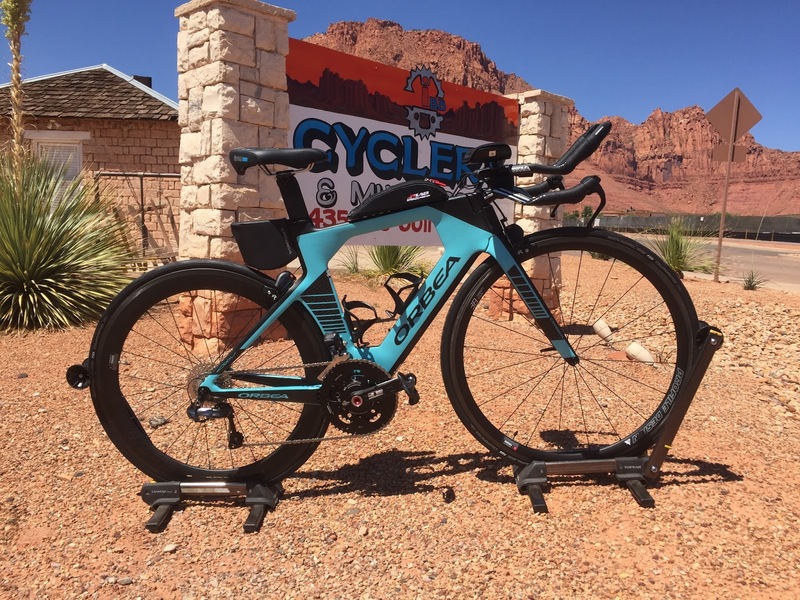 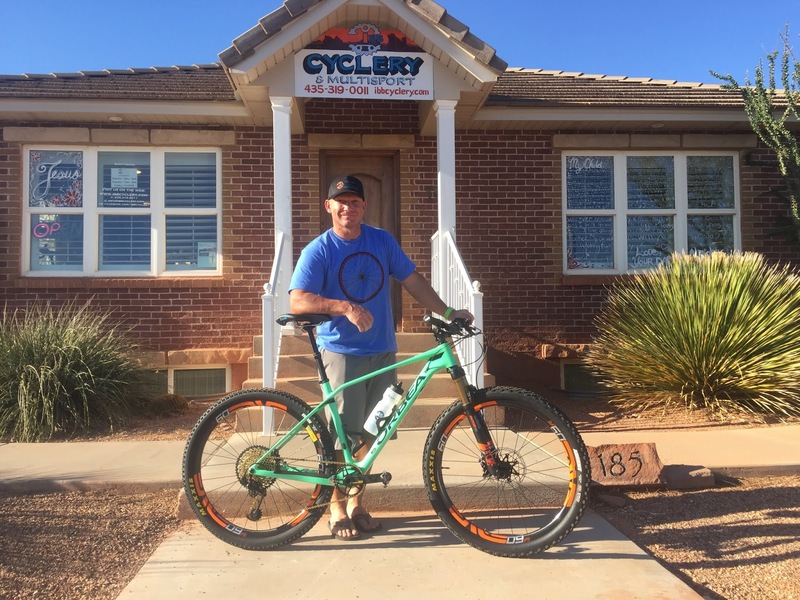 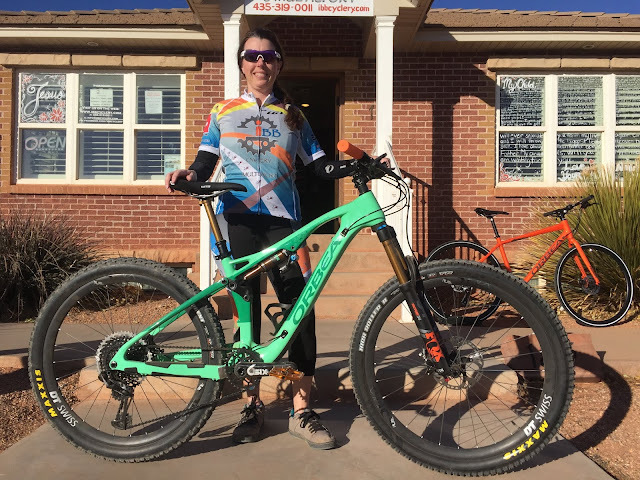 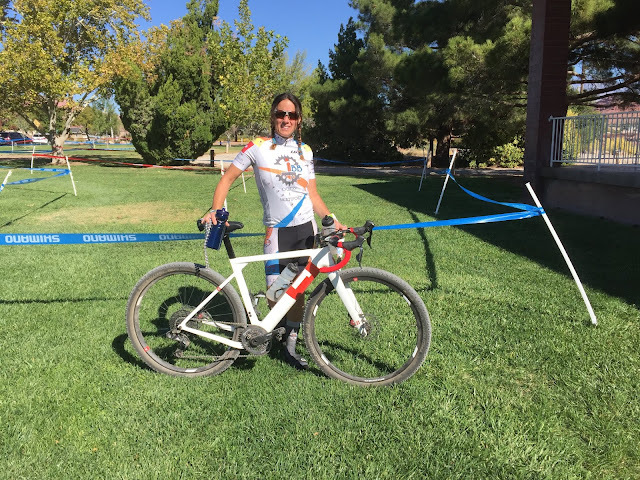 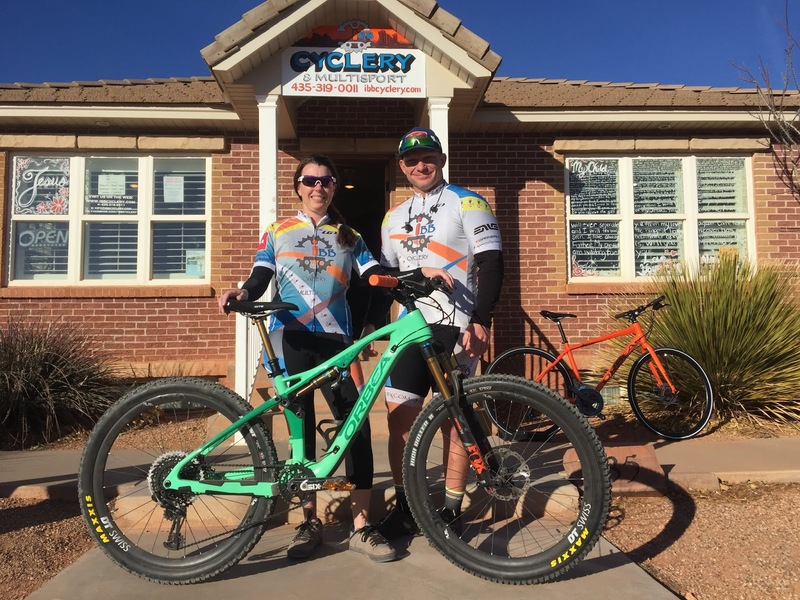 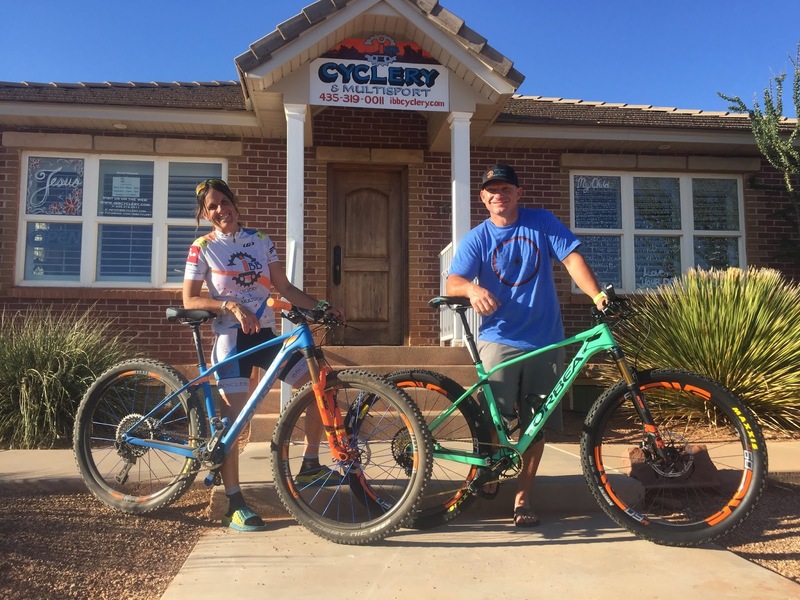 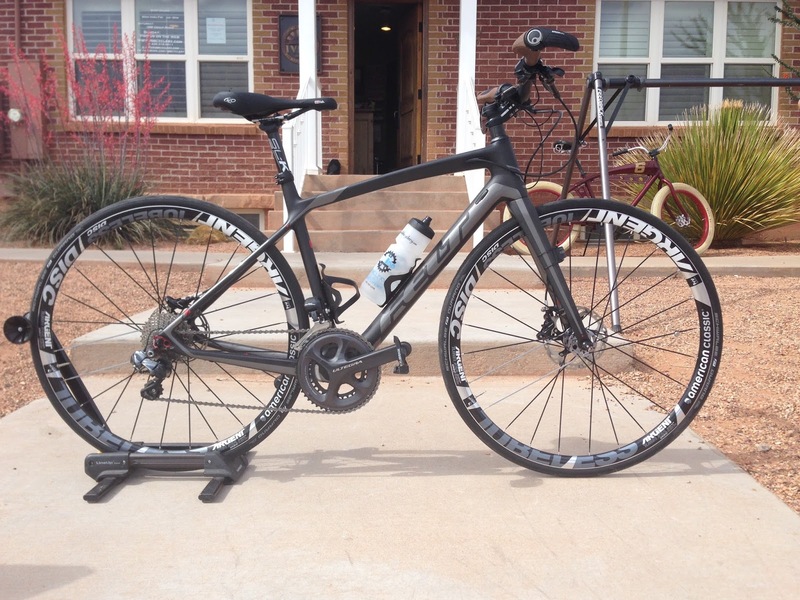 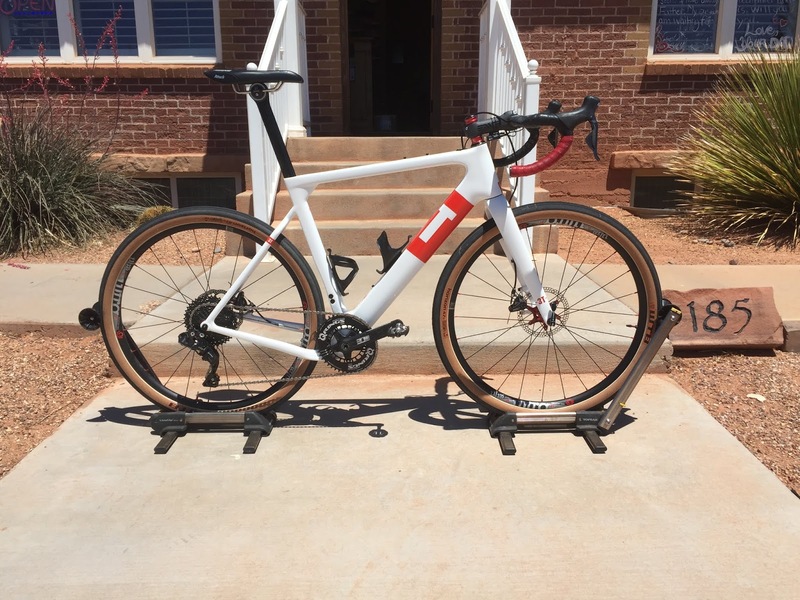 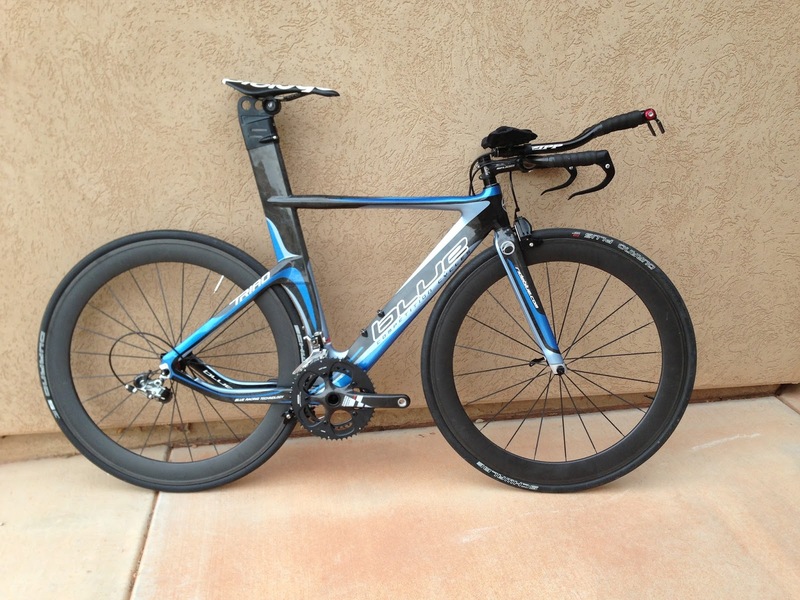 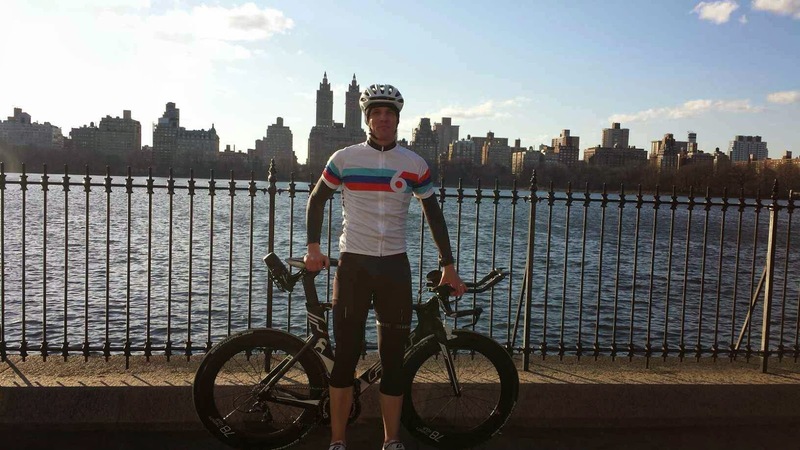 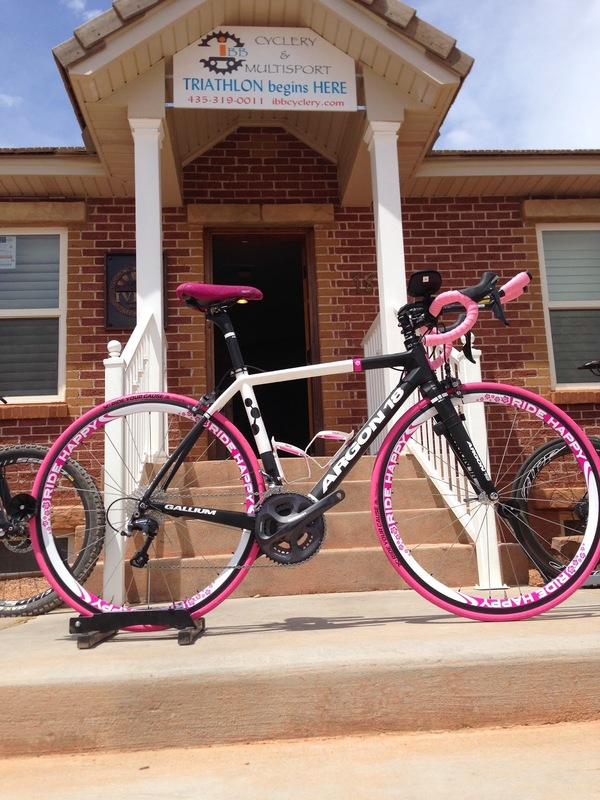 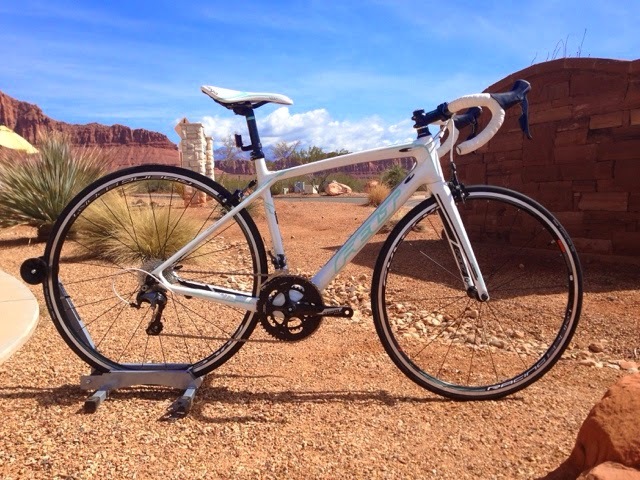 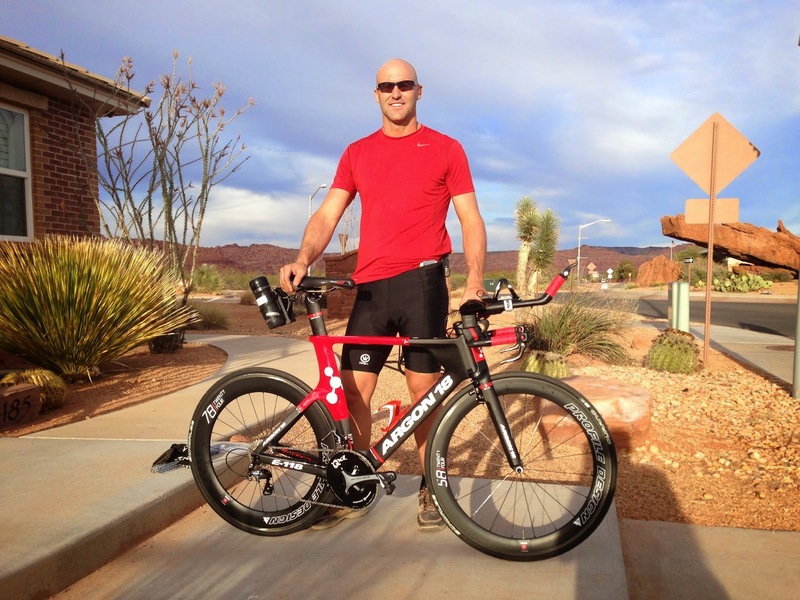 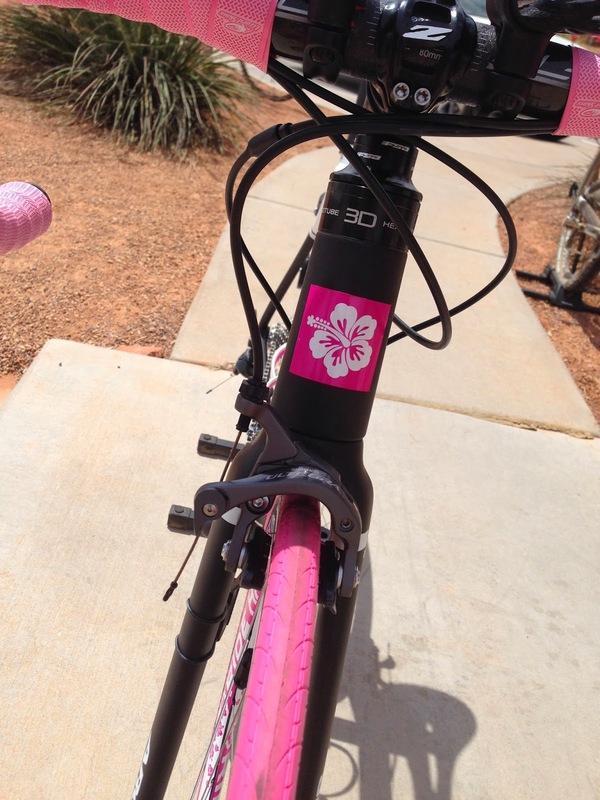 Justin went through the IBB Fit --> Spec --> Build Bike Buying Process and came out with a Beauty! 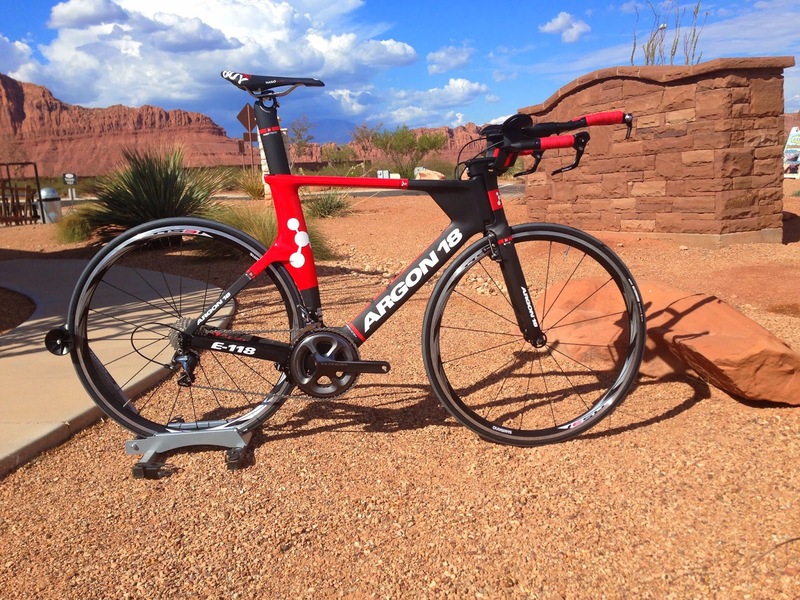 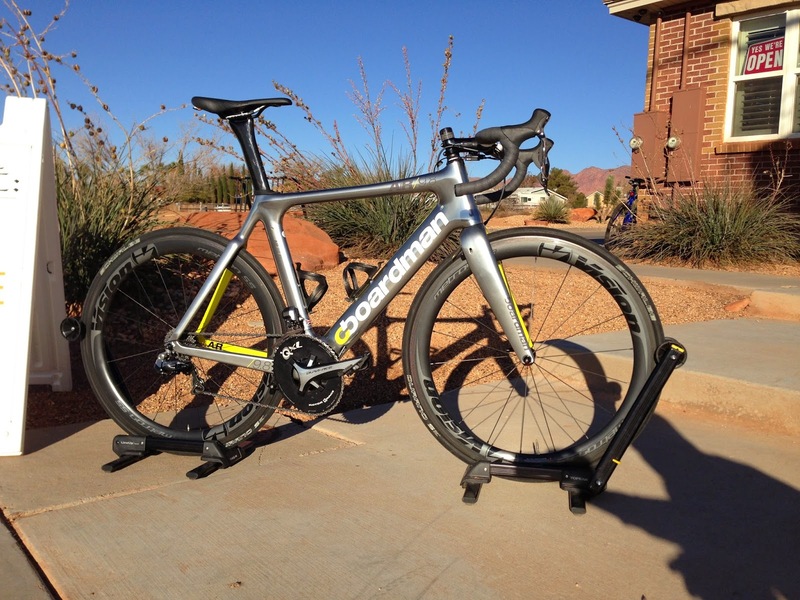 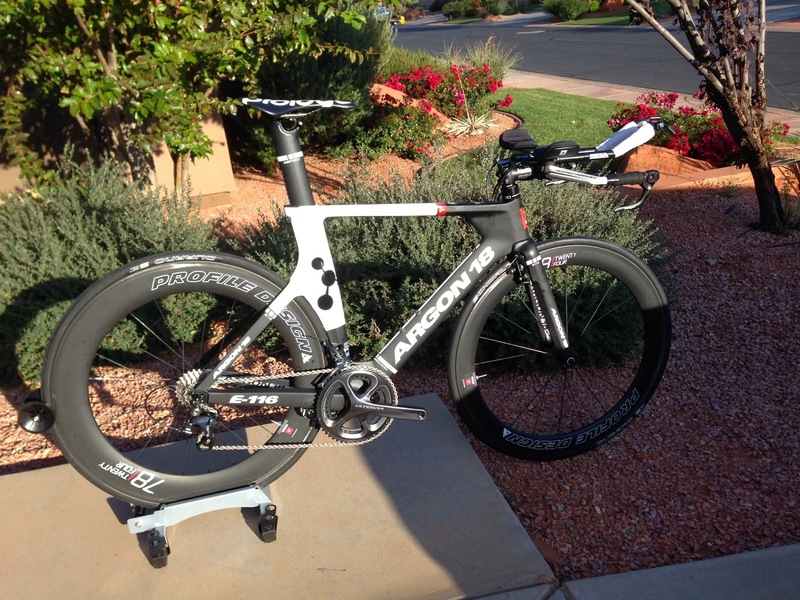 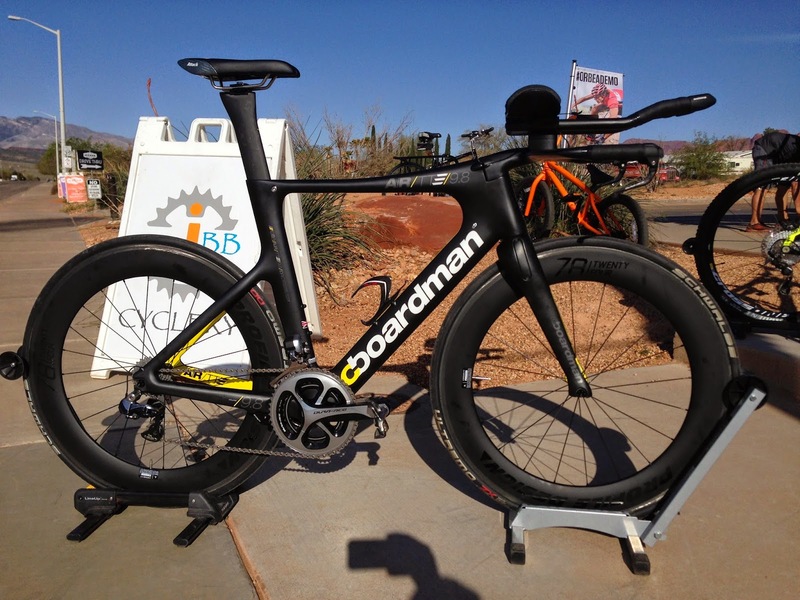 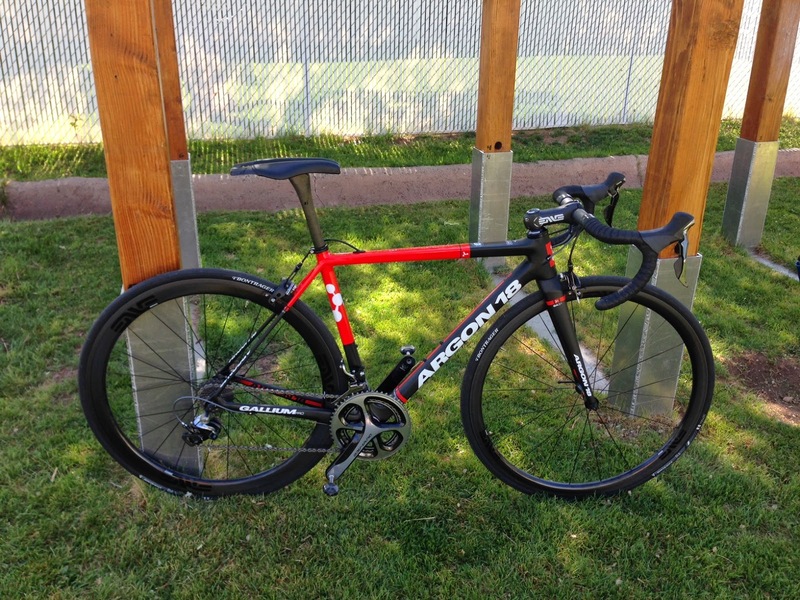 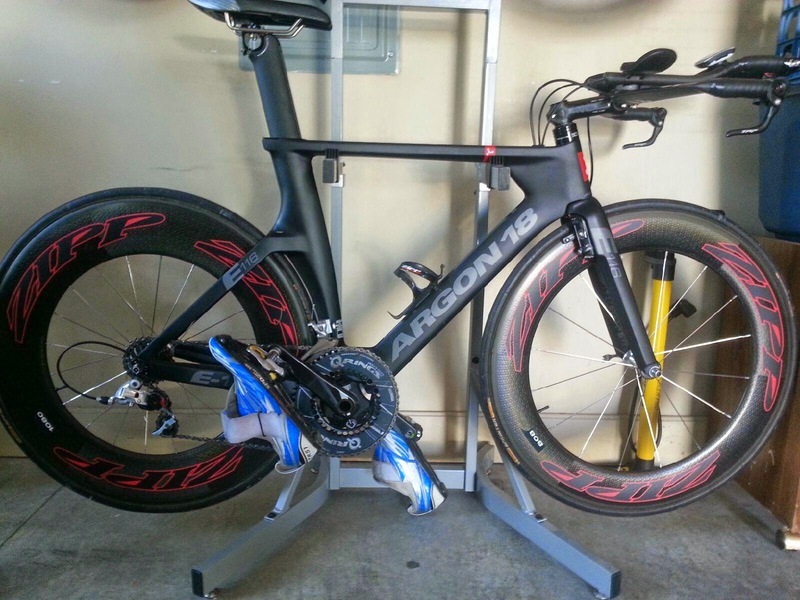 F-S-B: Andy's Boardman AiR/TTE/9.8, with Dura Ace Di2, Profile Design 78s, ISM Attack, Stages Power Meter. 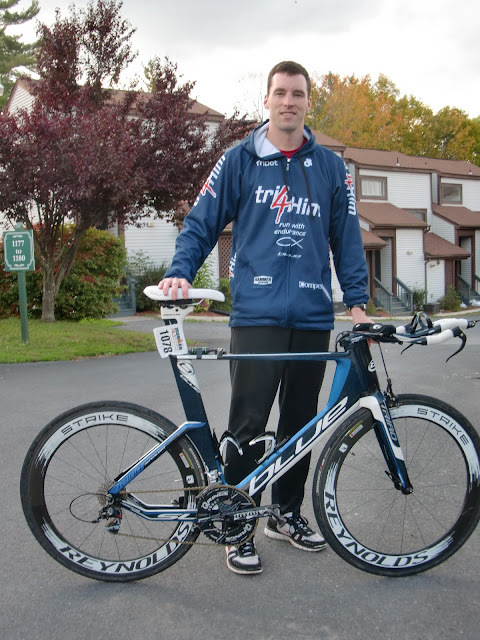 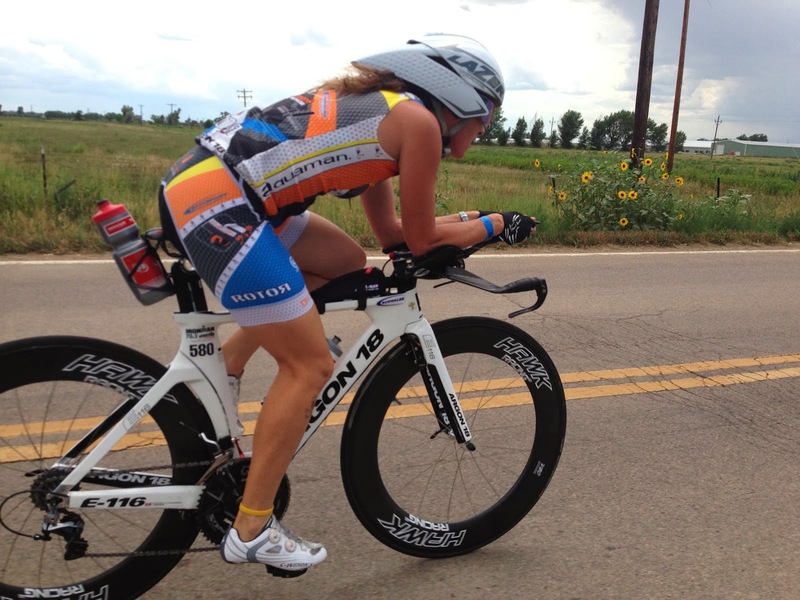 Jesse looking good flying the IBB Team Colors! 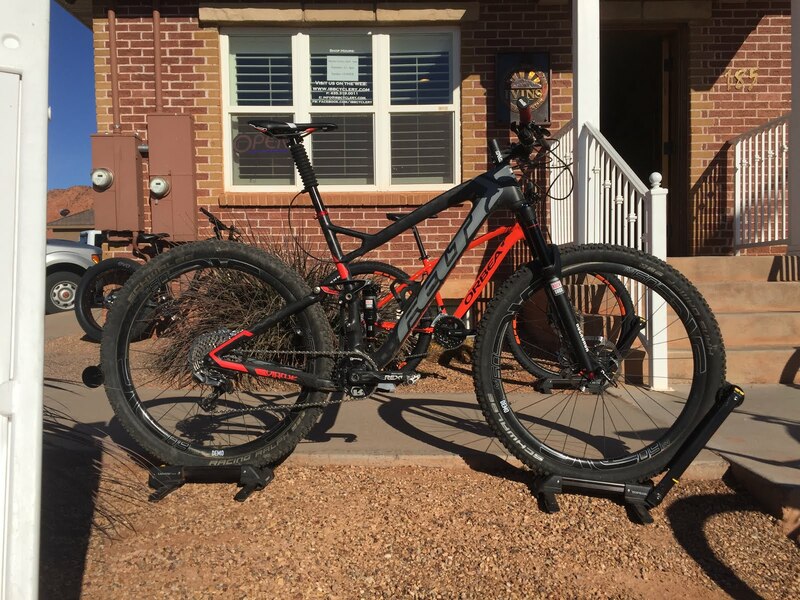 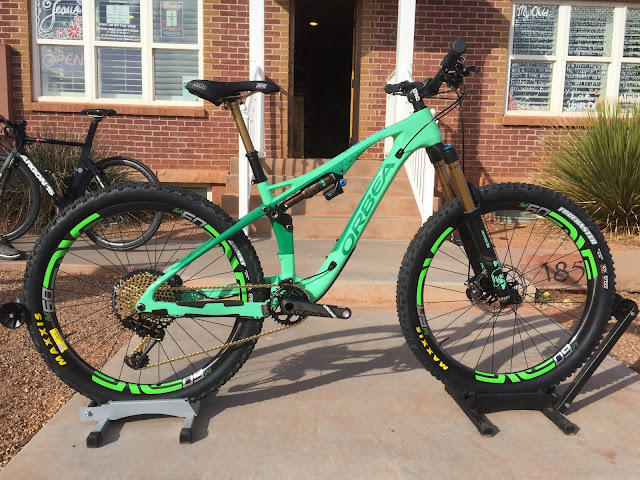 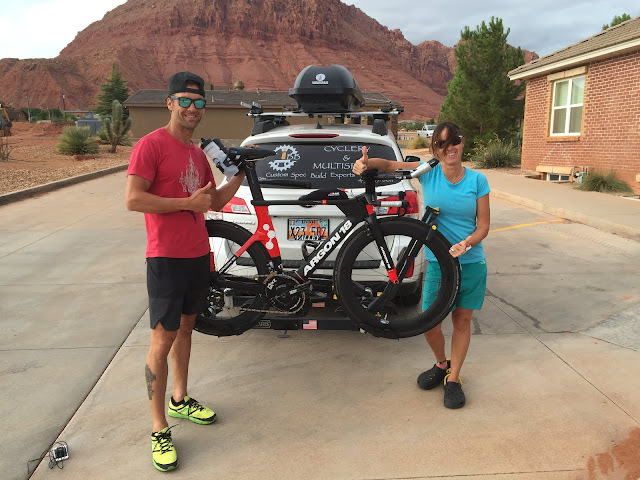 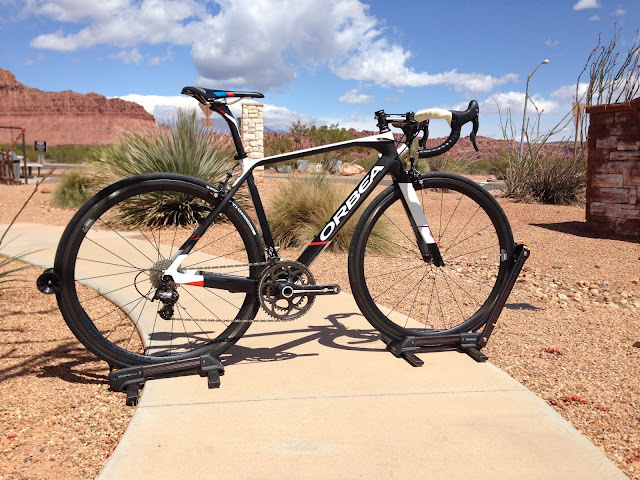 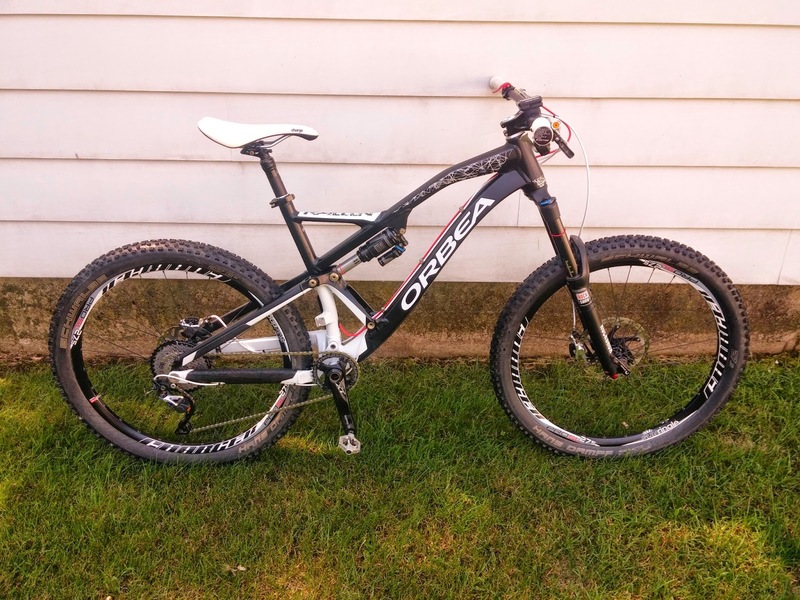 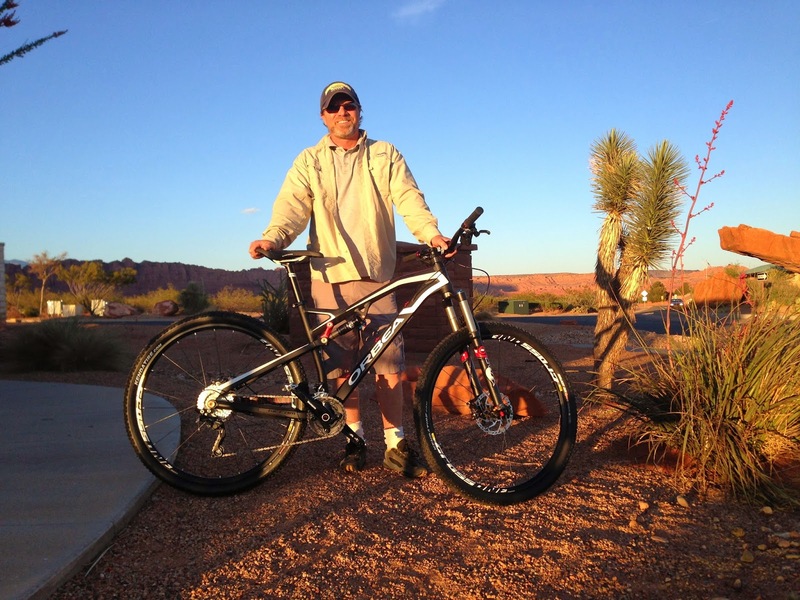 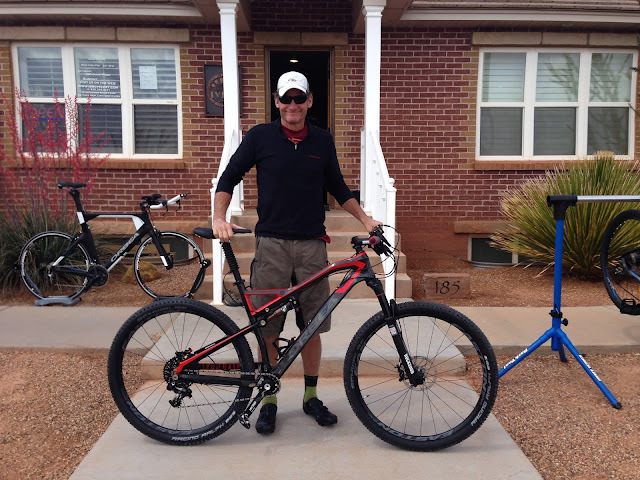 Shipped to Illinois: Phil's Orbea Rallon w/ Shimano XT/XTR, RaceFace, set up 1x10, Rock Shox Fork and Shock. 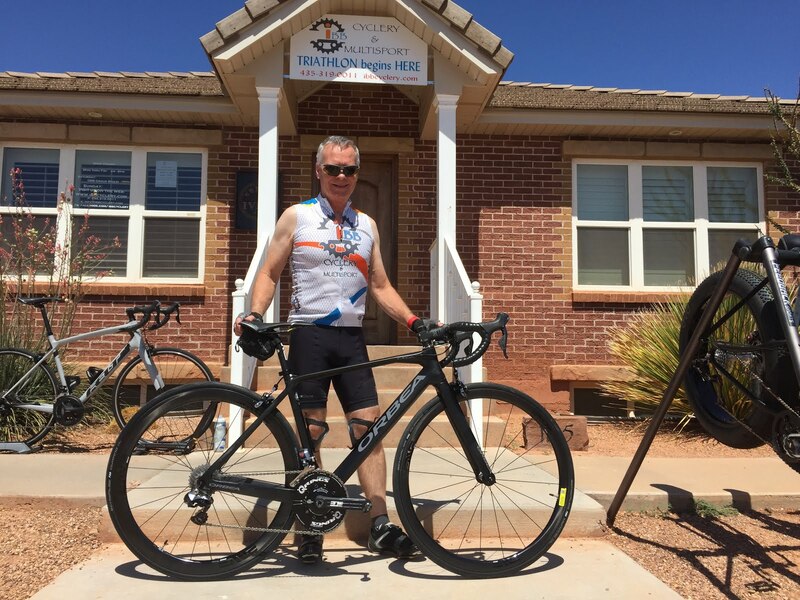 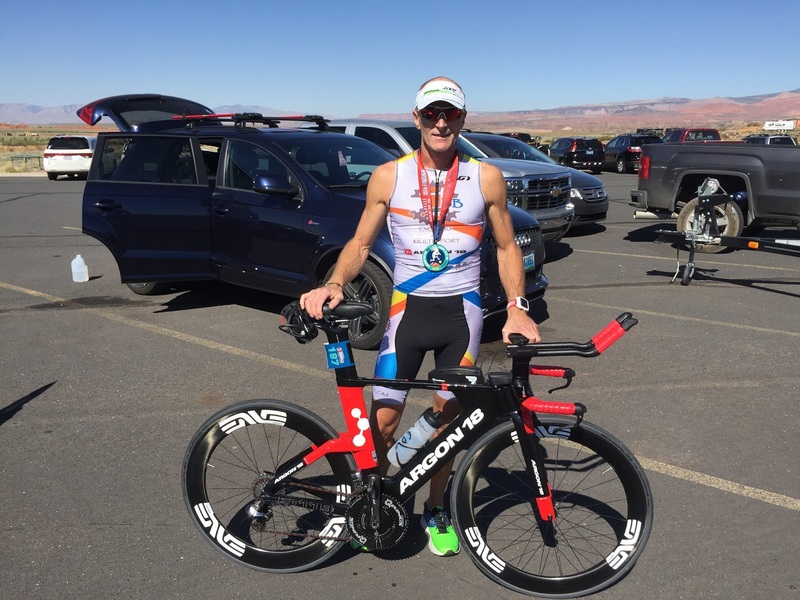 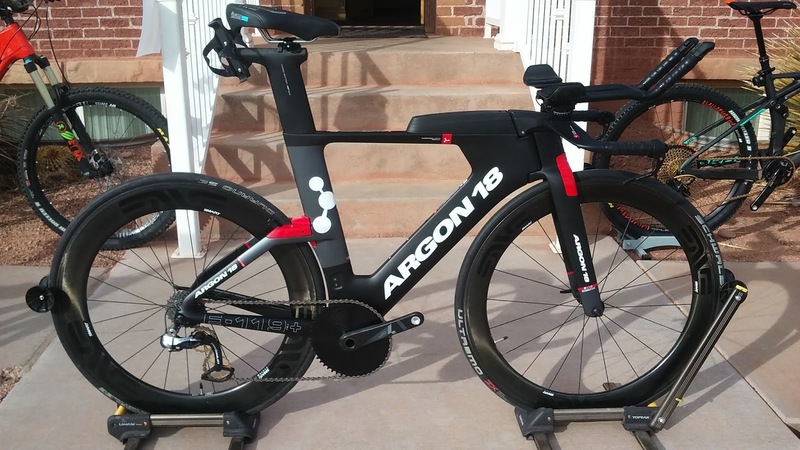 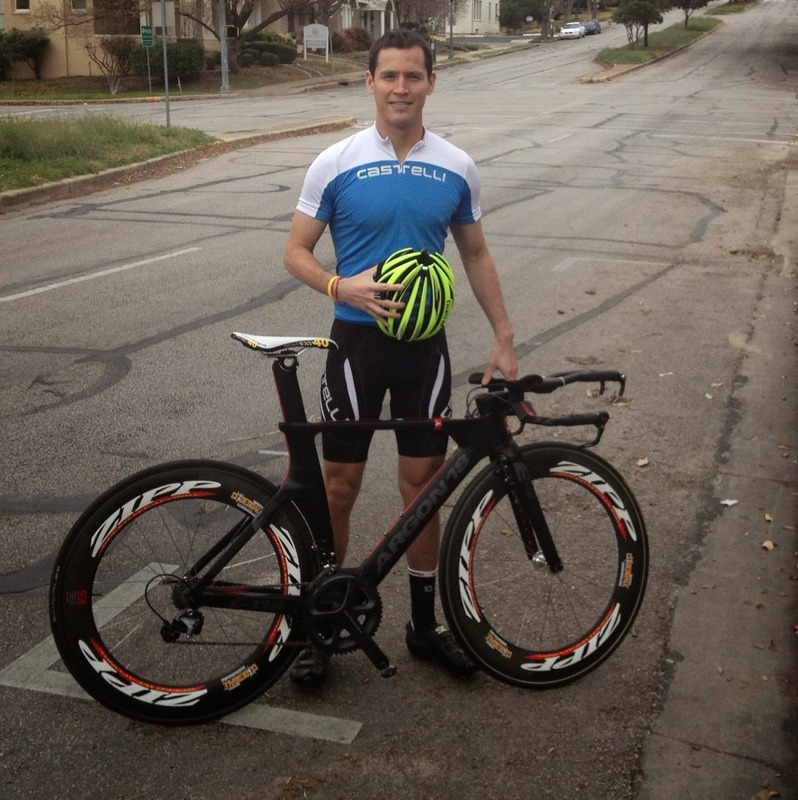 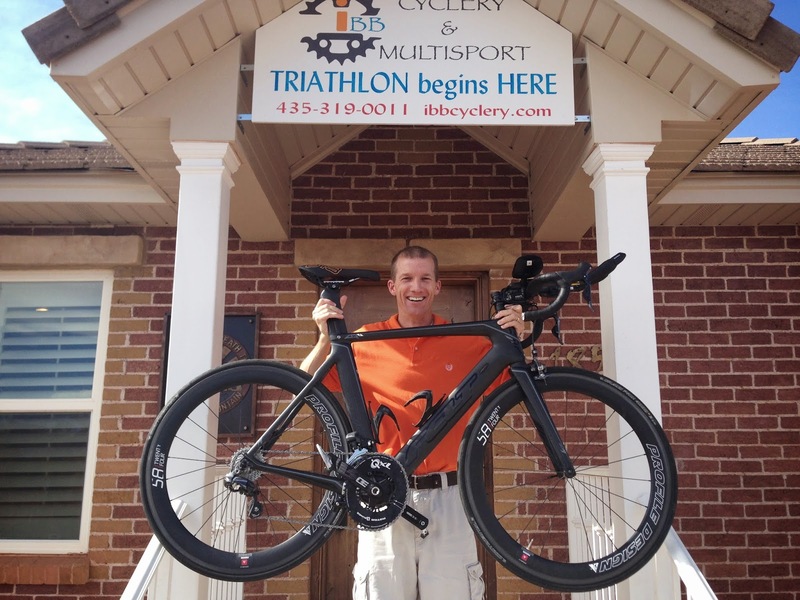 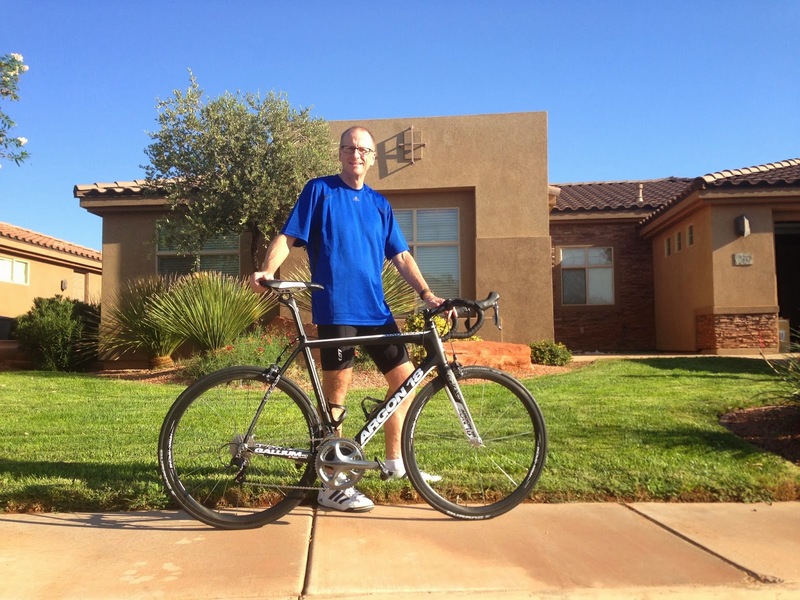 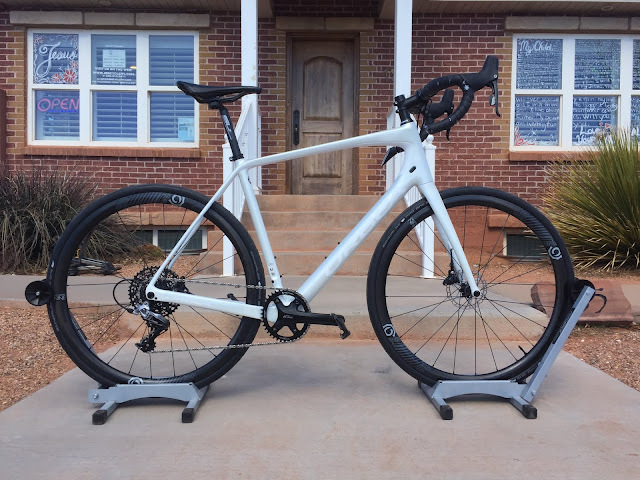 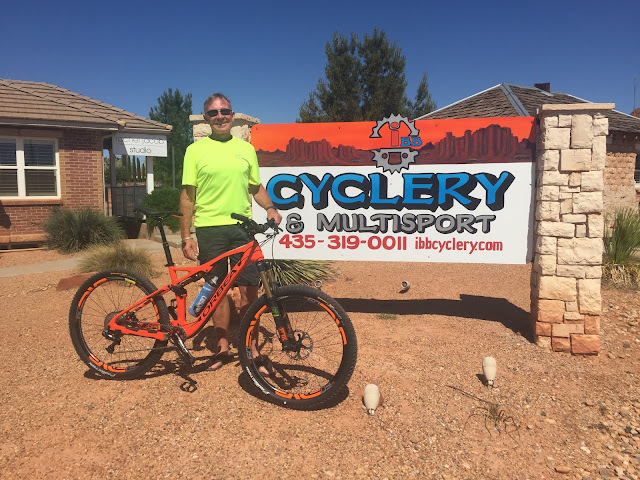 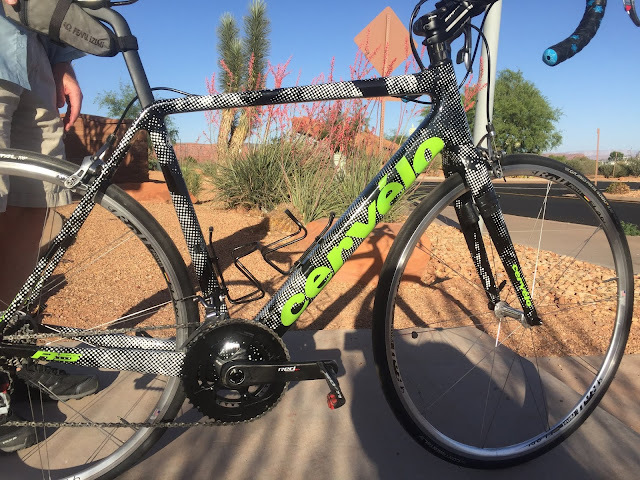 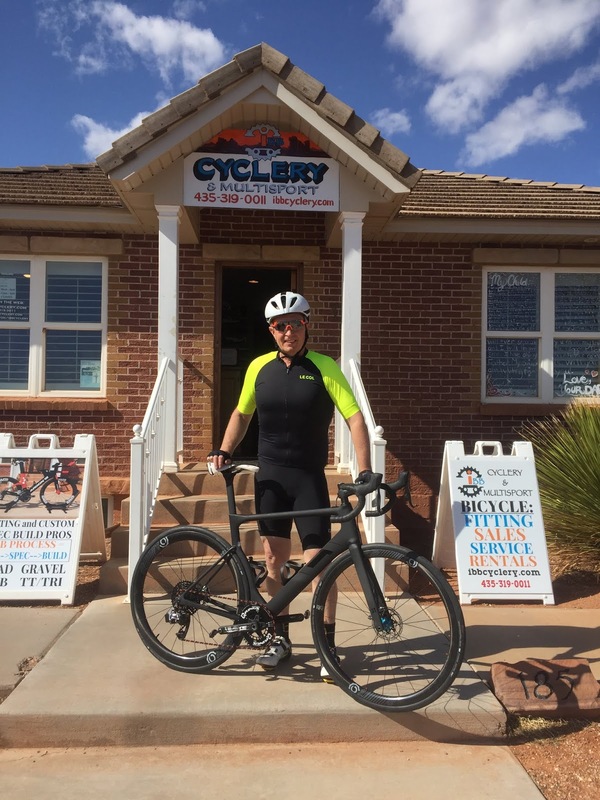 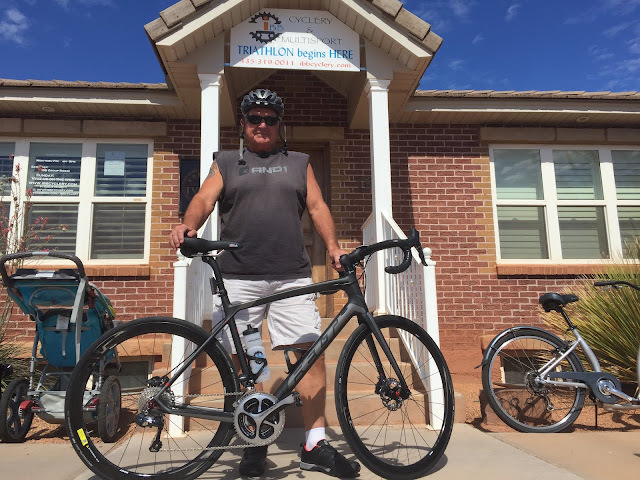 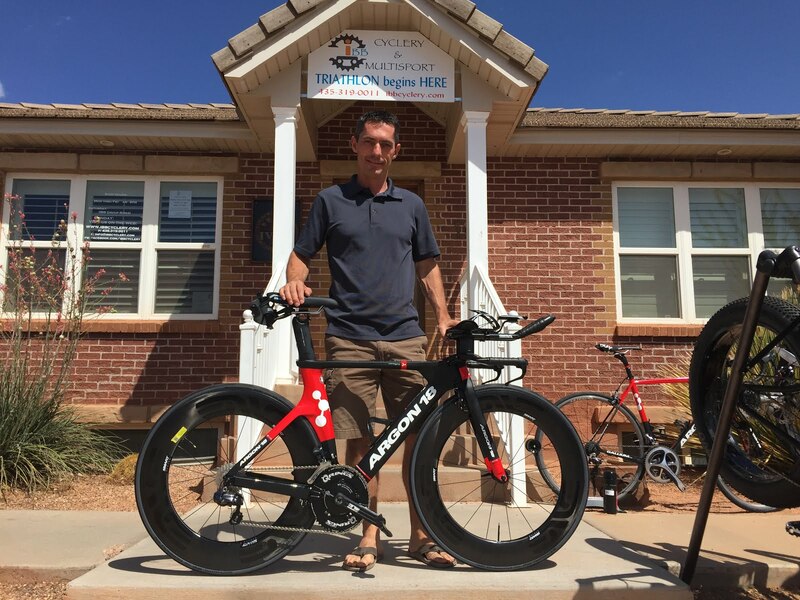 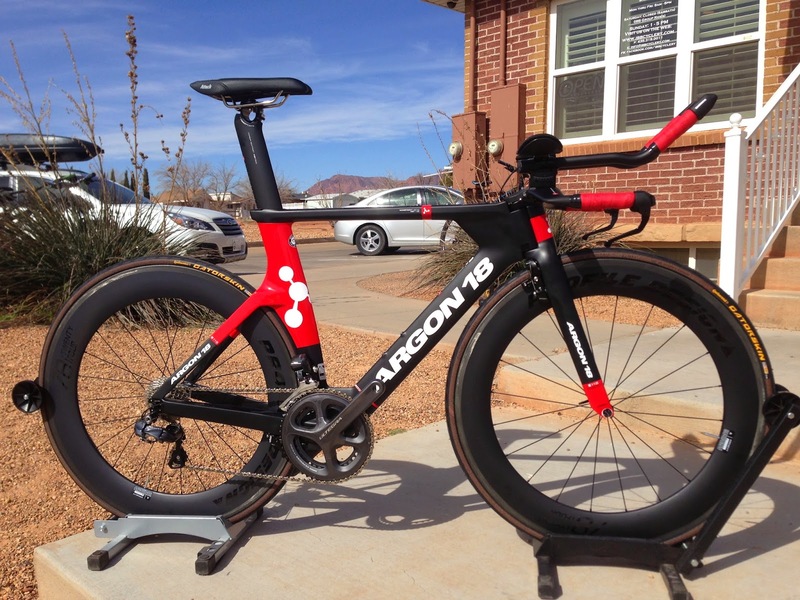 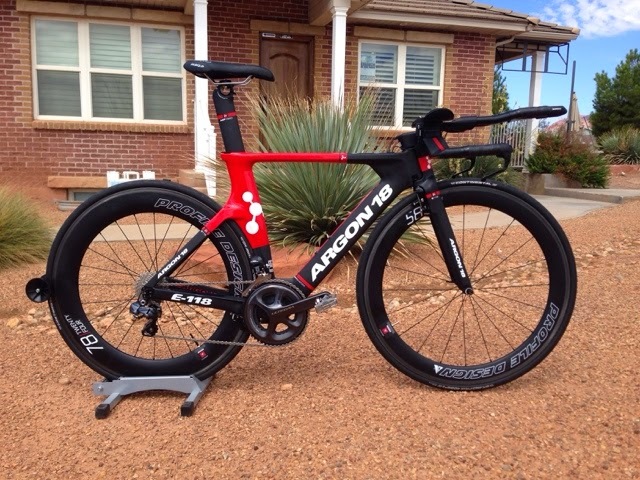 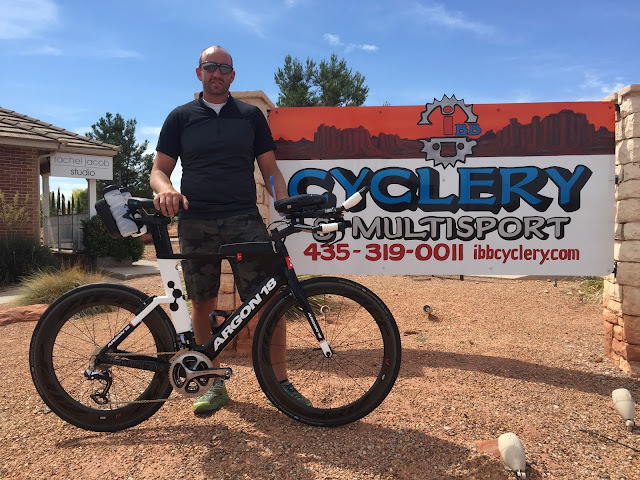 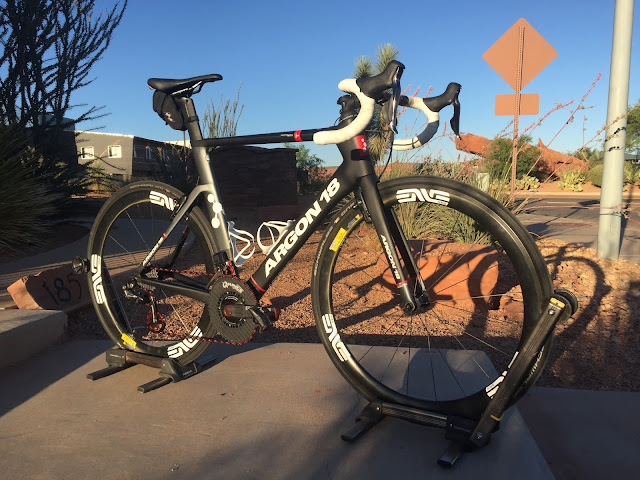 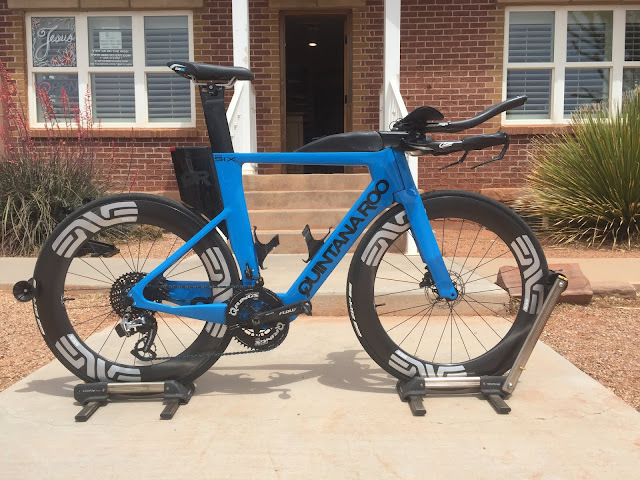 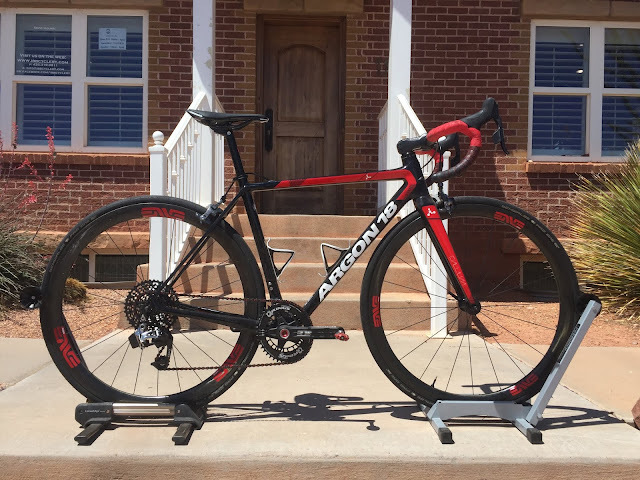 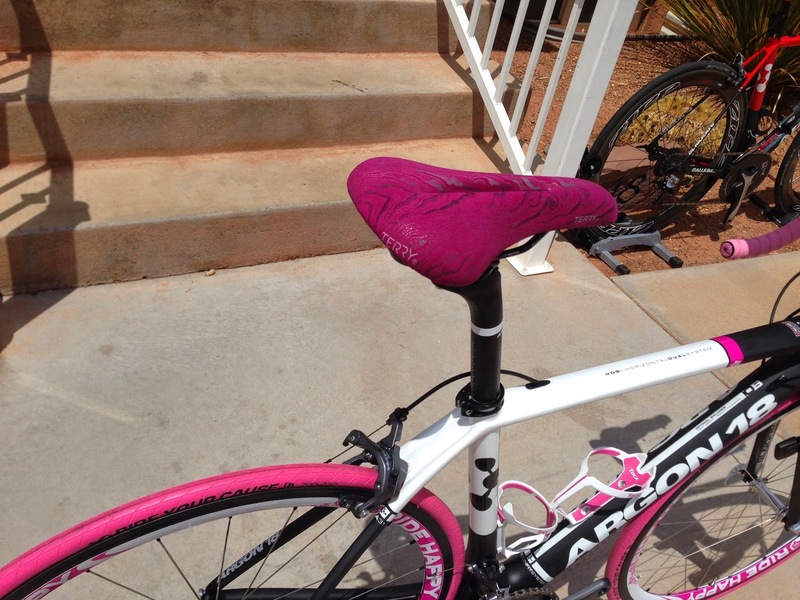 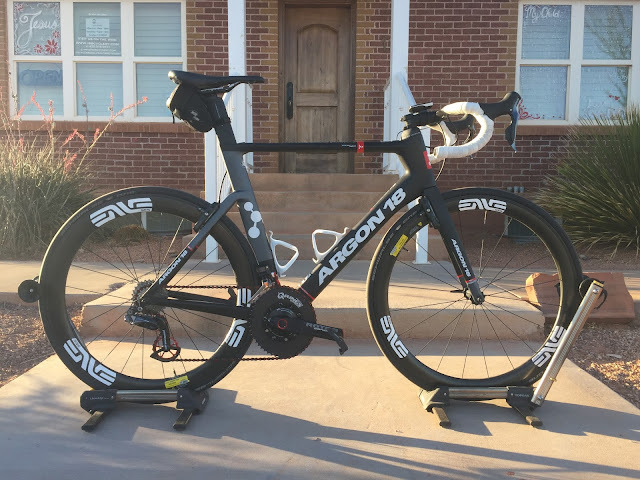 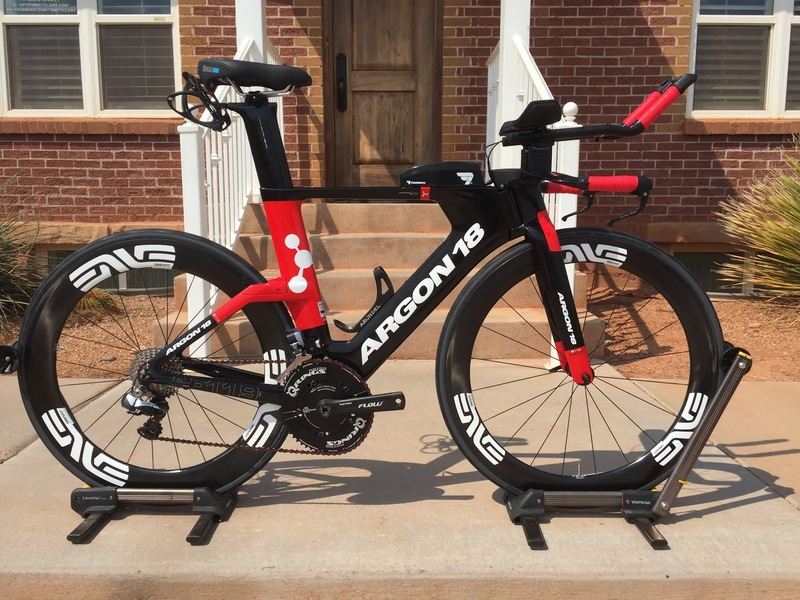 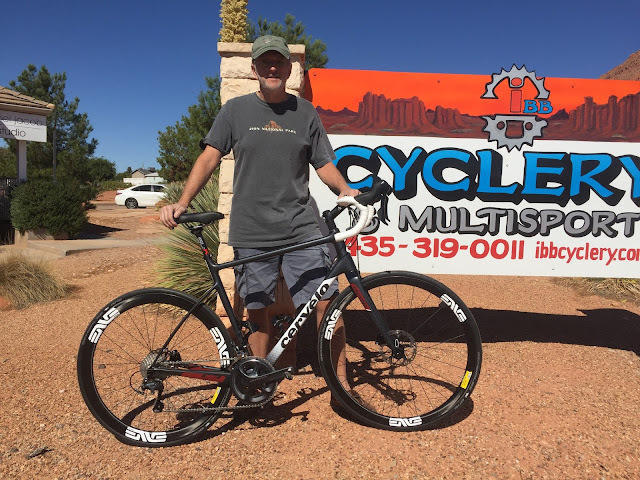 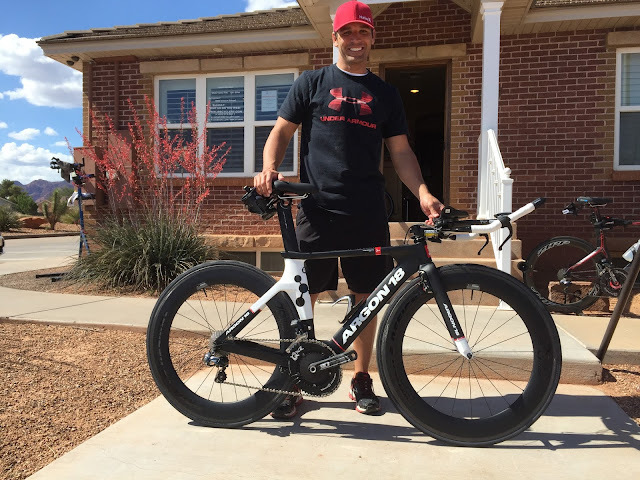 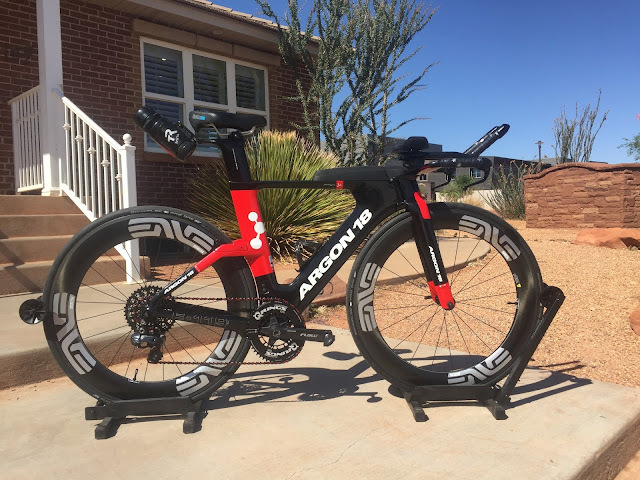 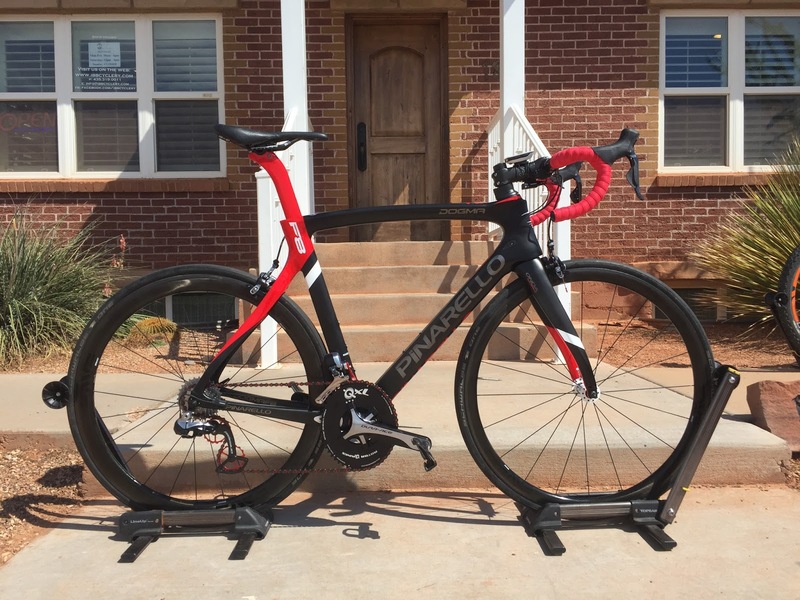 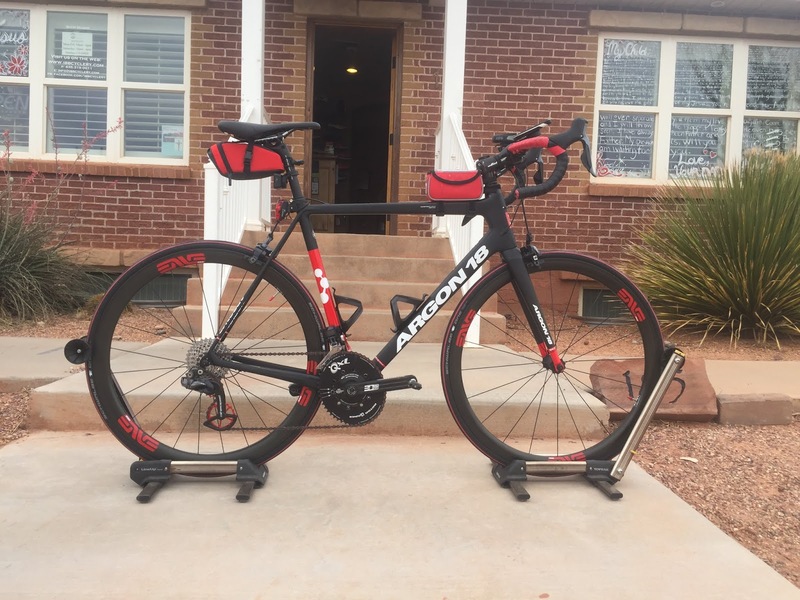 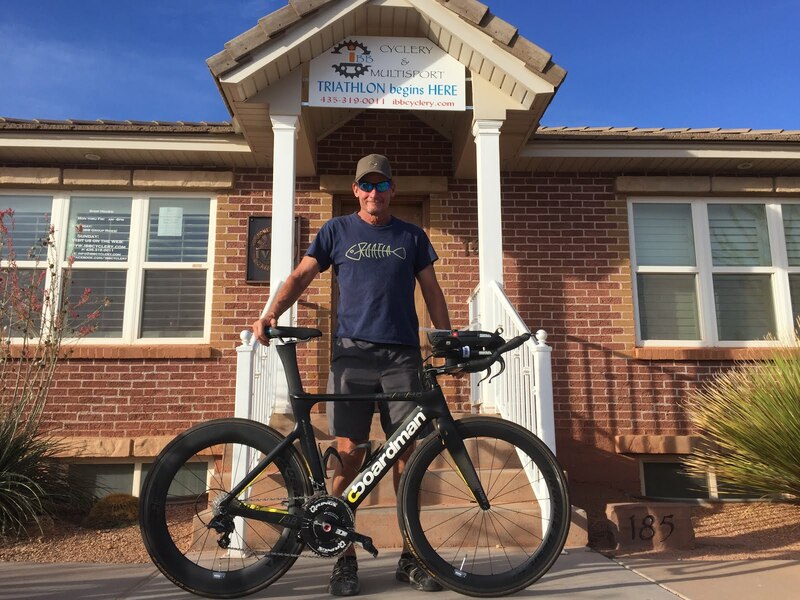 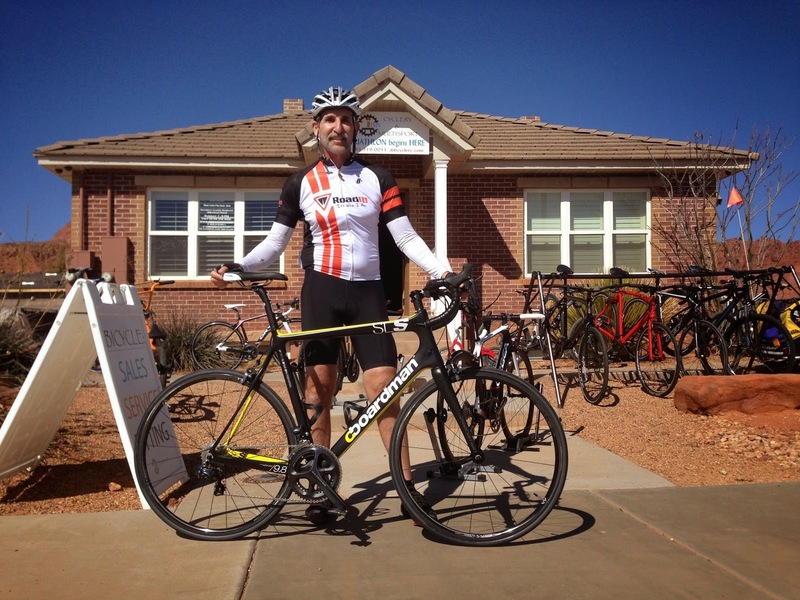 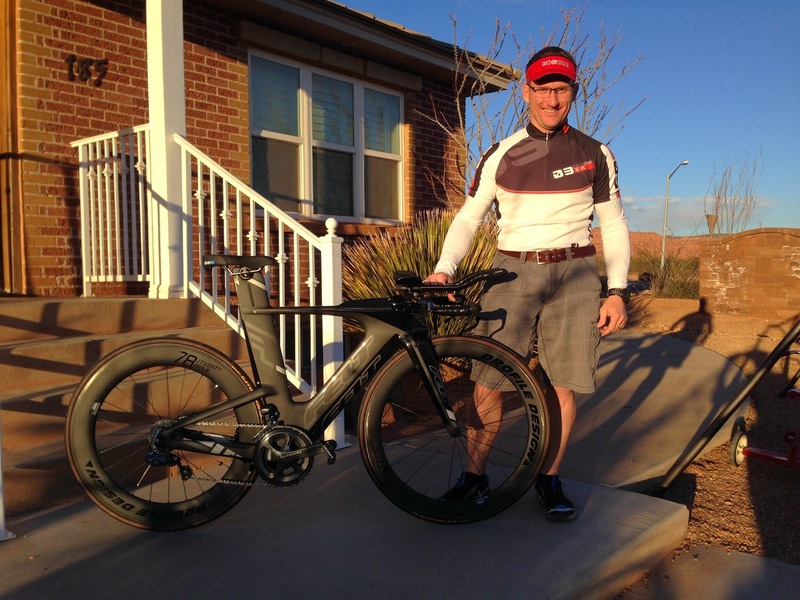 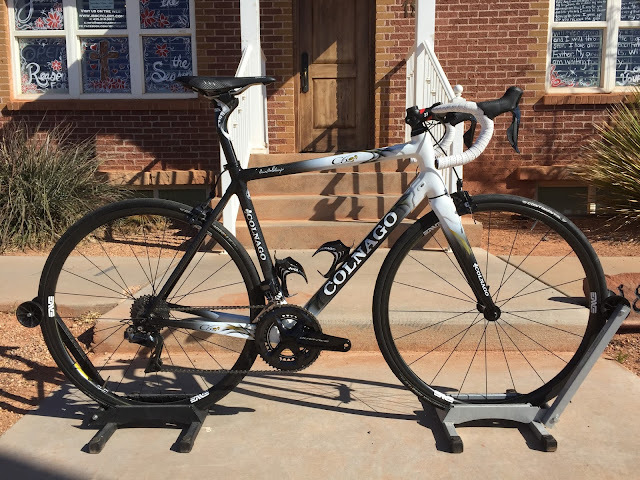 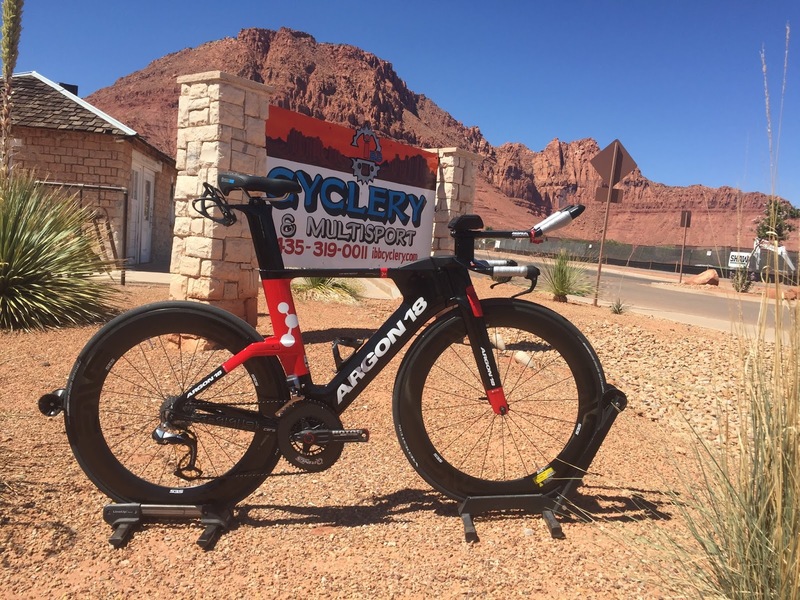 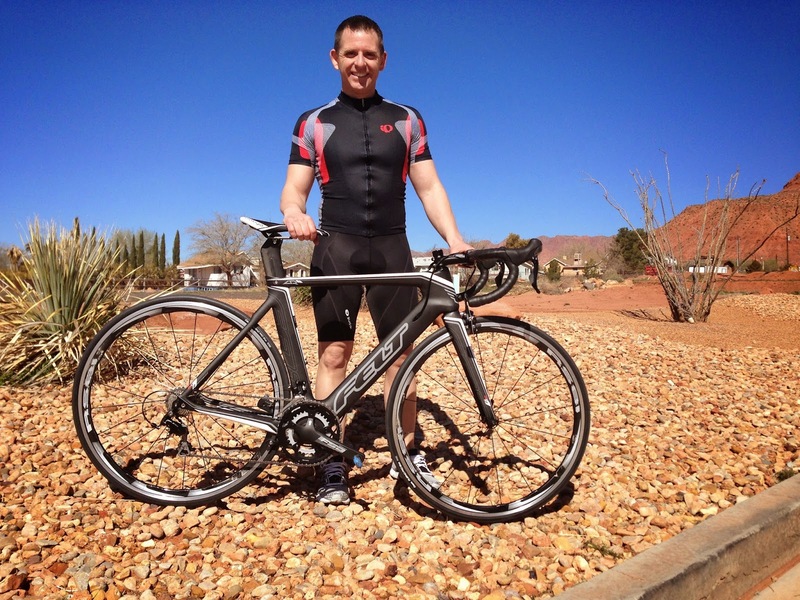 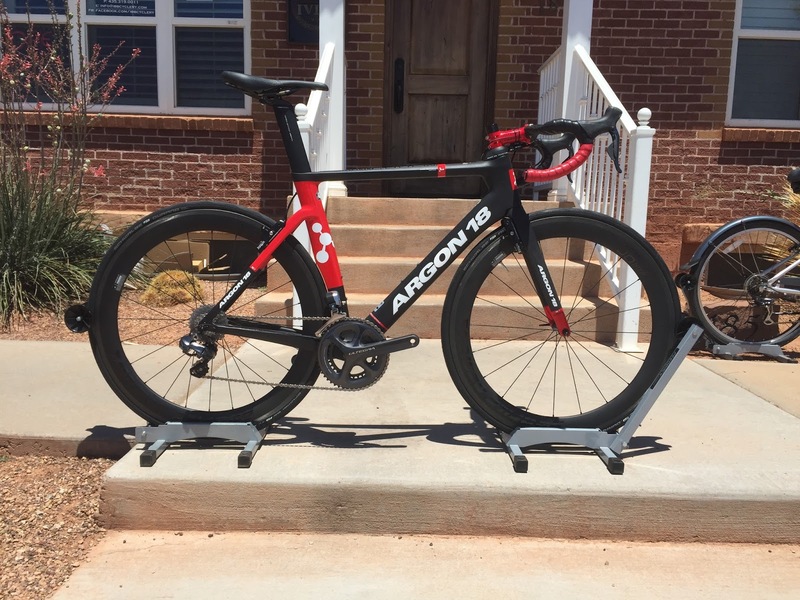 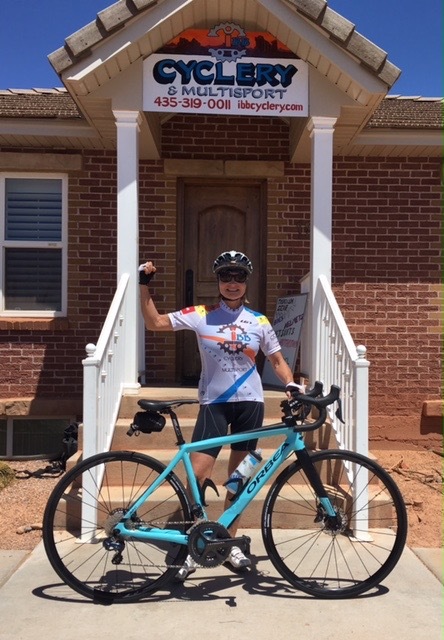 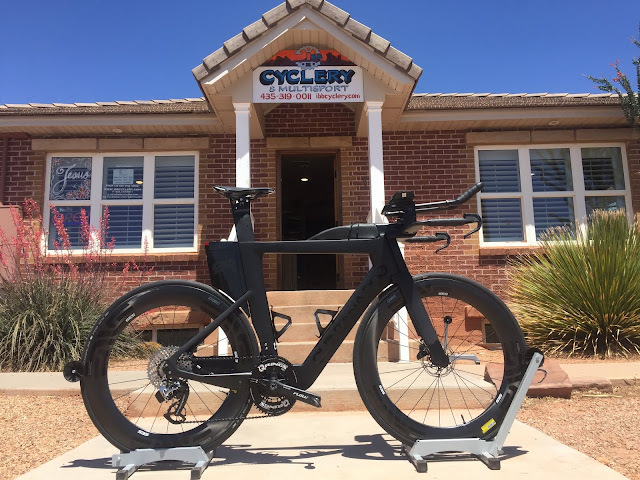 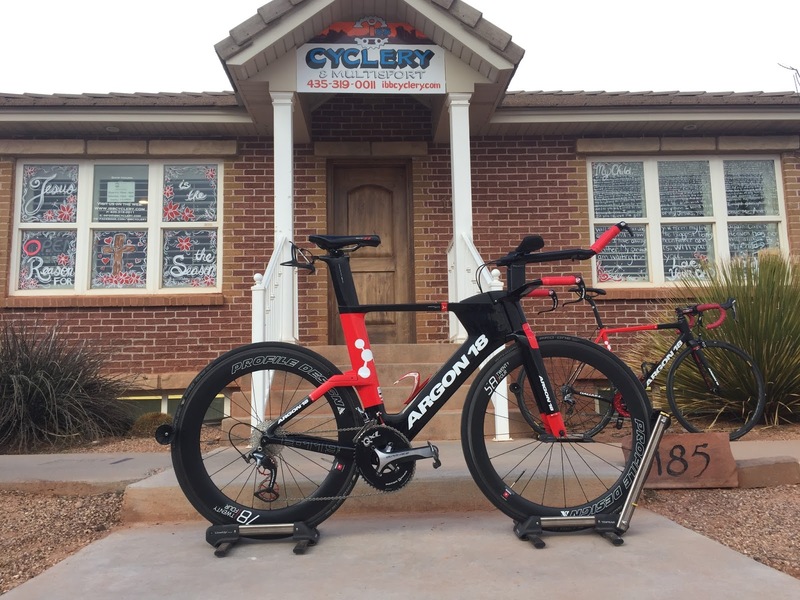 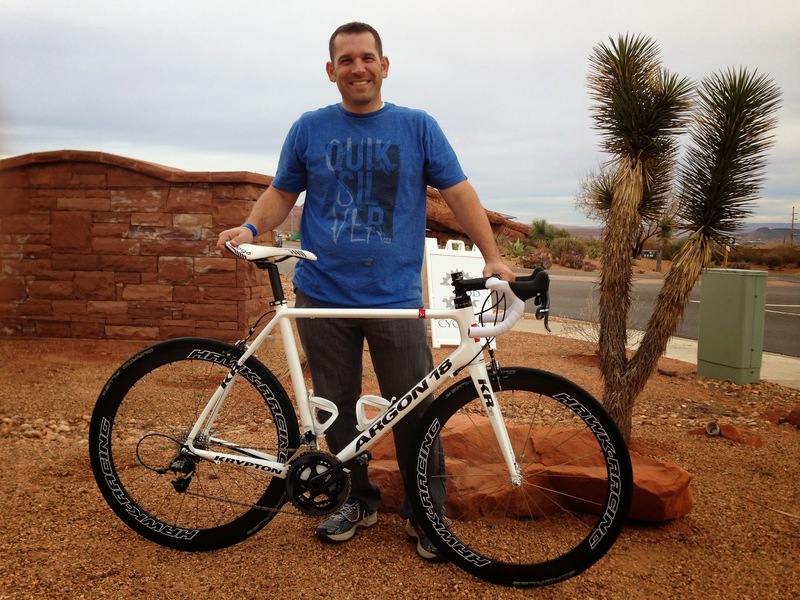 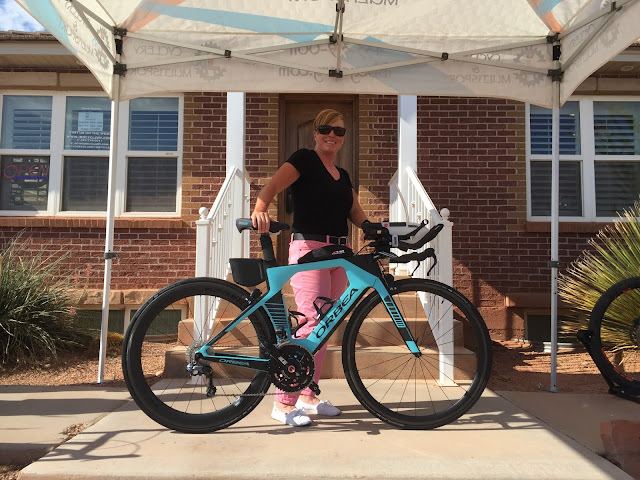 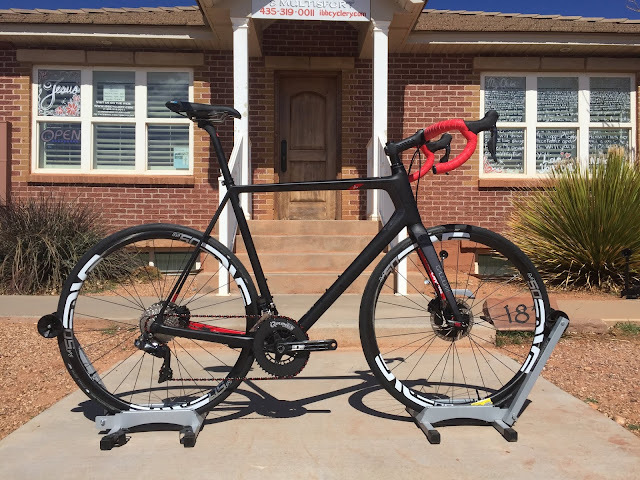 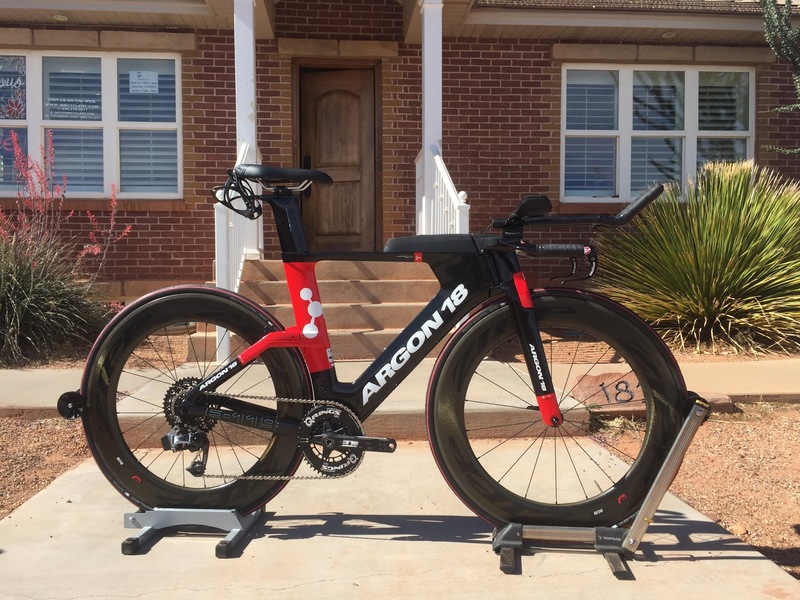 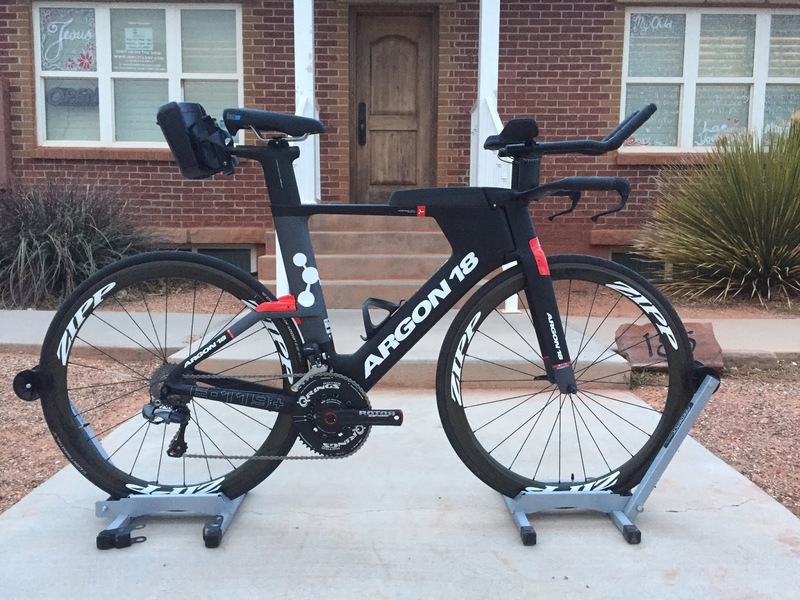 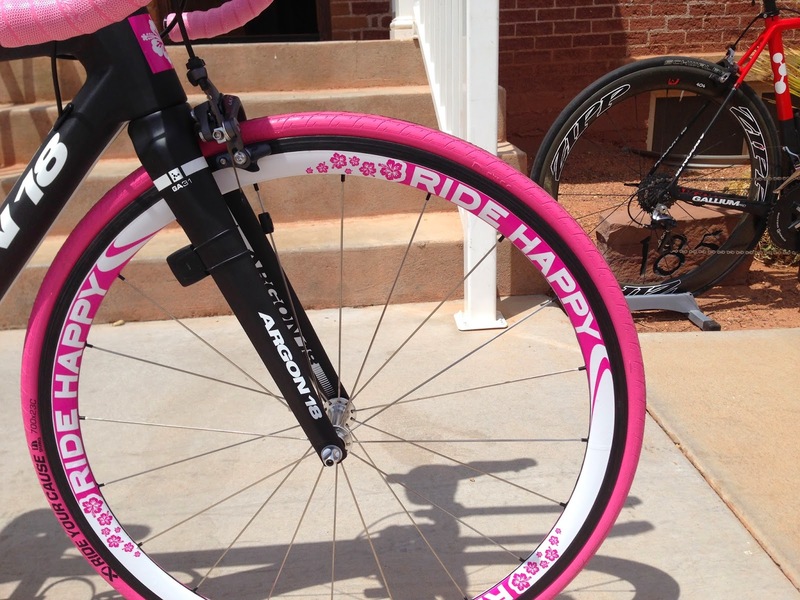 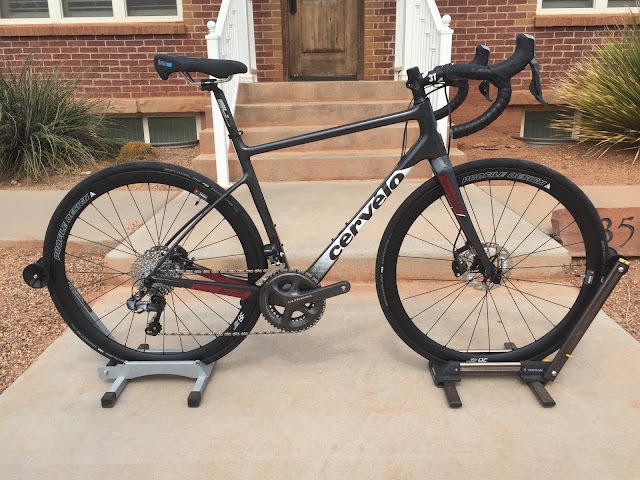 Shipped to AZ: Jeremy's 2014 Argon 18 Gallium Pro w/ Dura Ace 9000, Enve bar/stem/wheels, Dash Seatpost/Saddle Combo - Superlight at 13.9 pounds! 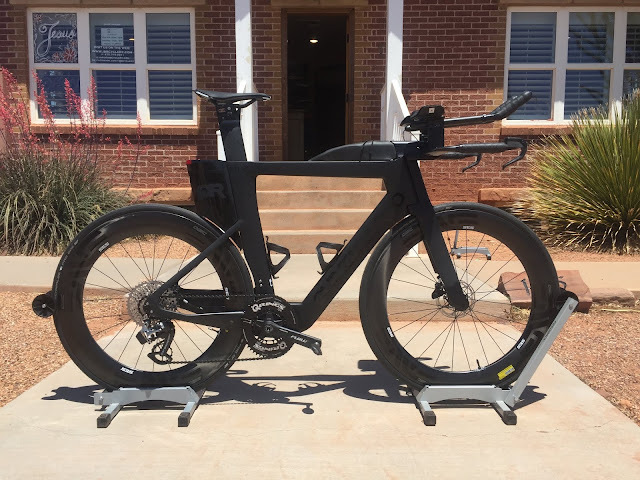 Shipped to New York State: Sascha's Felt DA Carbon w/ SRAM Force Group, Zipp Carbon Cockpit, Profile Design 78's, Rotor Q-rings and 3D+ crank, ISM Attack Saddle - FAST! 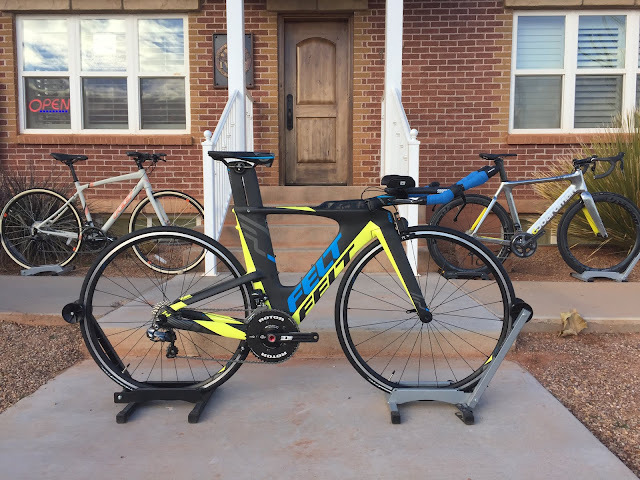 2012 Blue Triad SL LE with Shimano Dura Ace, Aerus (Blue) Aerobars, SRAM TT900 Brake Levers, SRAM Red chain, Shimano Cassette, ISM Prologue saddle, Garmin Edge 500, LOOK Keo Blade Carbon Pedals, SRAM Red Front Brake, 85mm Carbon Clincher wheels. 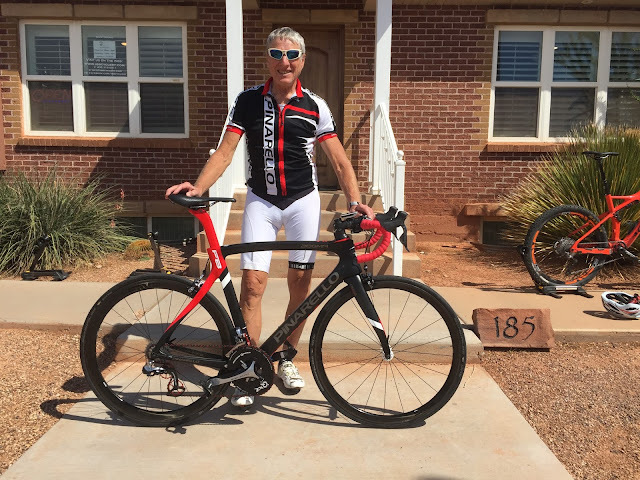 No wonder he's smiling!! Thanks Ty! 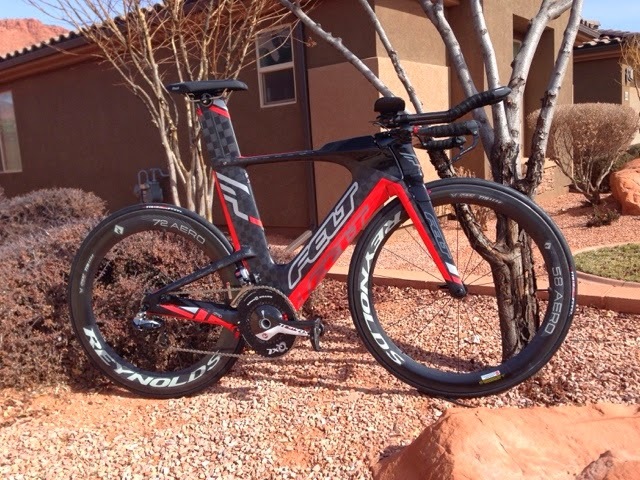 2011 Felt DA with SRAM Quarq crank w/ 53/39 Aero Q-rings, SRAM R2C Shifters, SRAM Red front and rear derailleurs, TT500 Brake Levers, ISM Prologue Saddle, Profile Design Svet Zero Base Bar, Profile Carbon Cobra T2+ Extensions, Felt 30mm clincher wheels, Rotor Gold Titanium Chain. 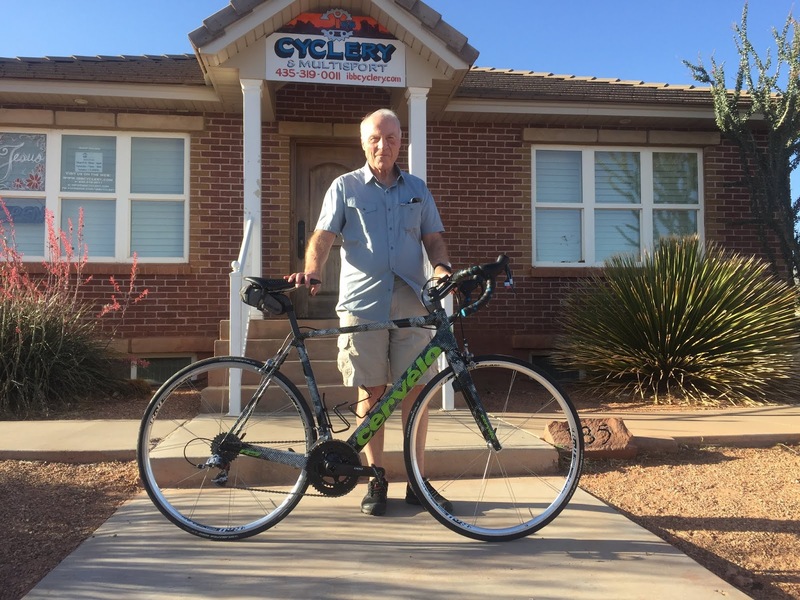 Couldn't have gone to a nicer fella -- Go see SMASHER at the Dixie Auto Salvage for all your auto parts and car-crushing needs!